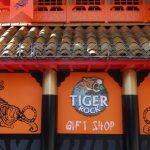 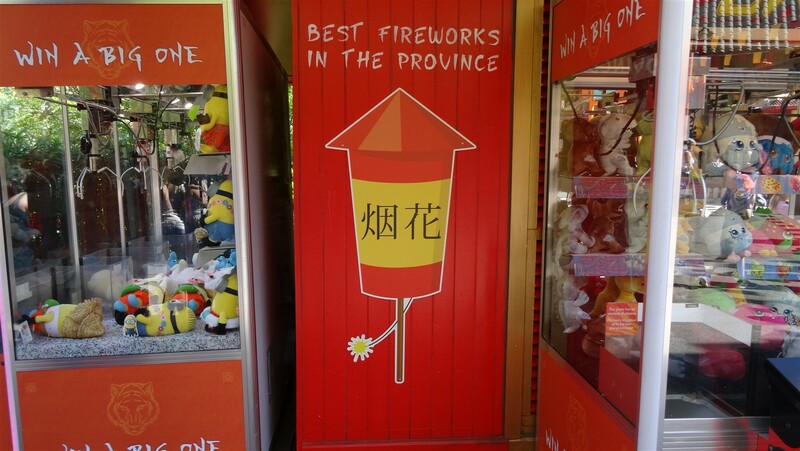 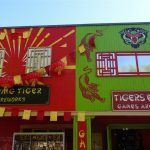 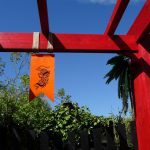 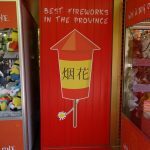 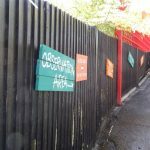 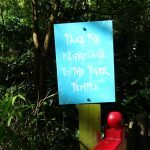 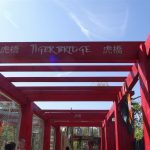 Once the ancient Mystic East now has been transformed into Land of the Tiger. 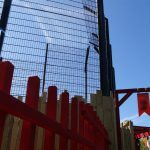 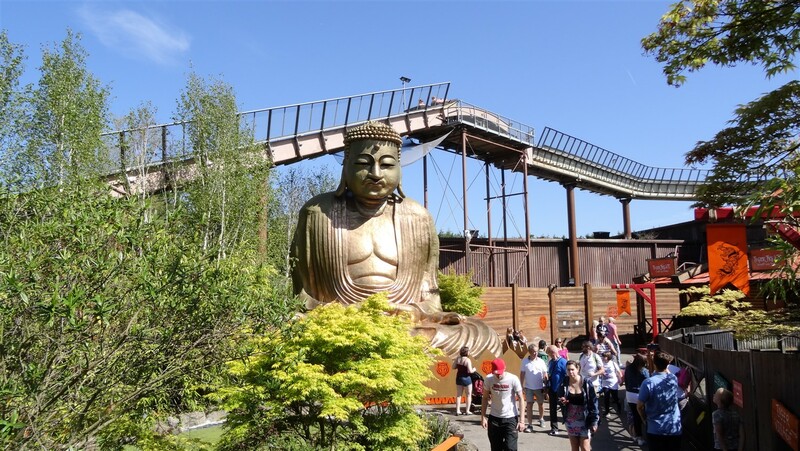 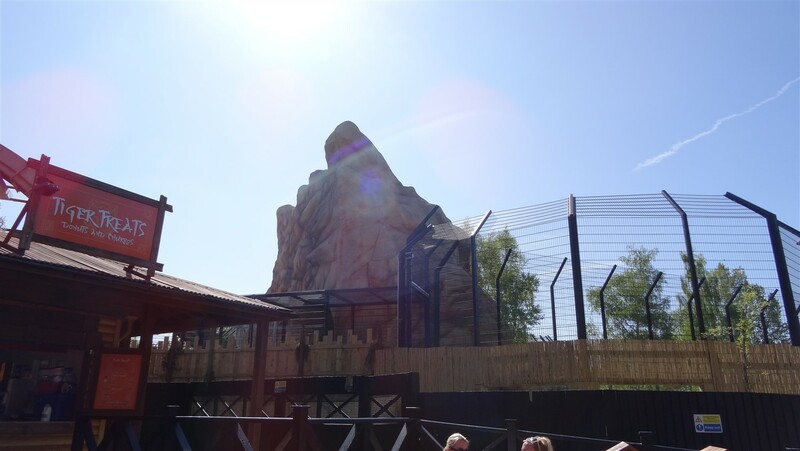 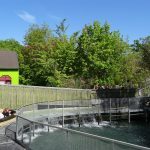 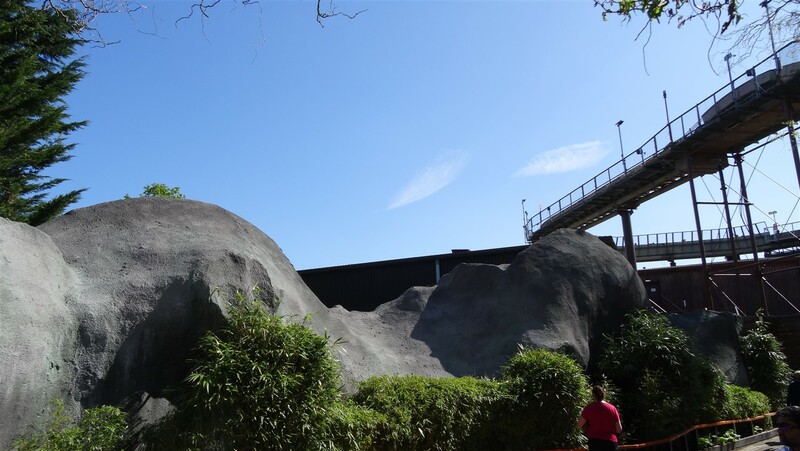 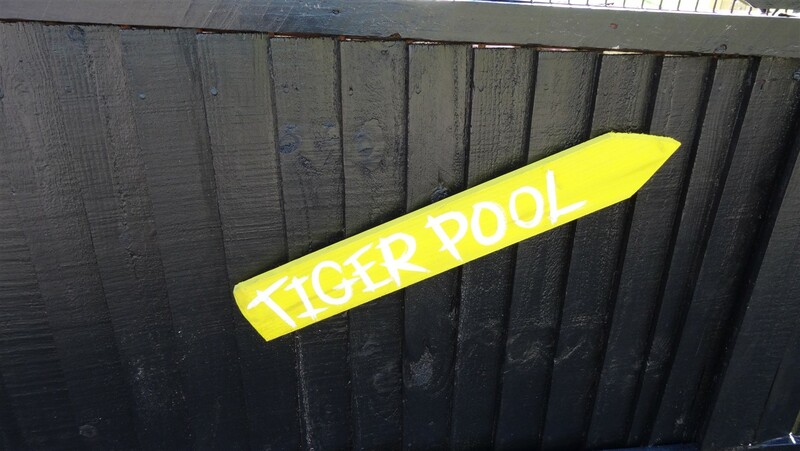 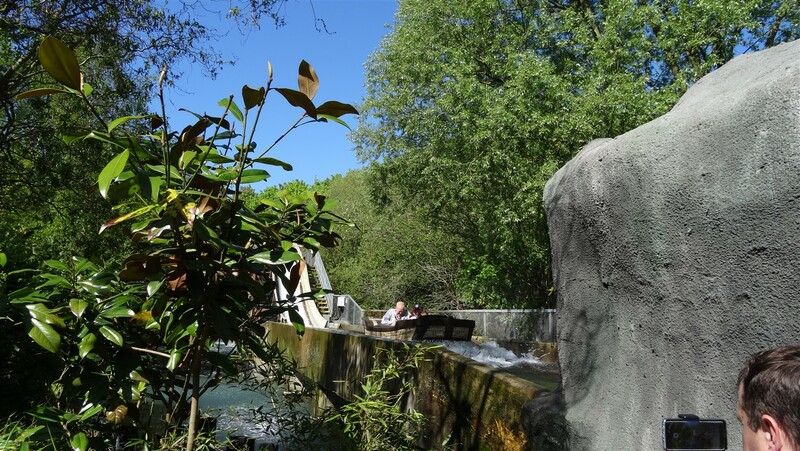 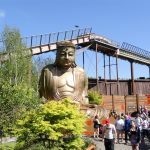 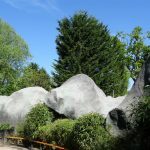 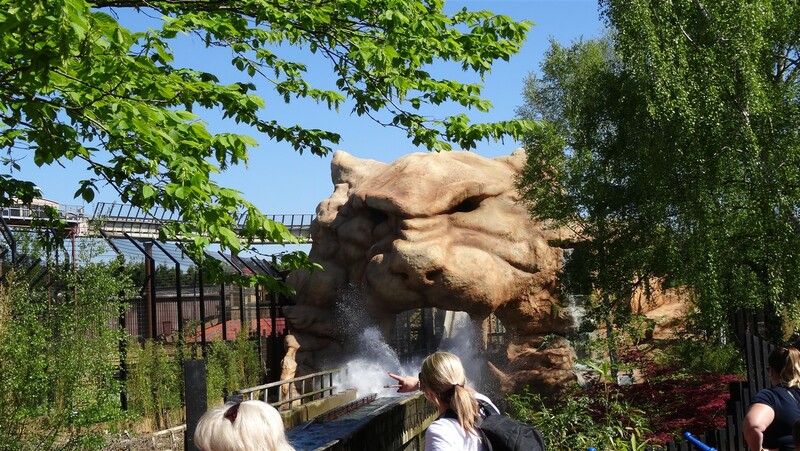 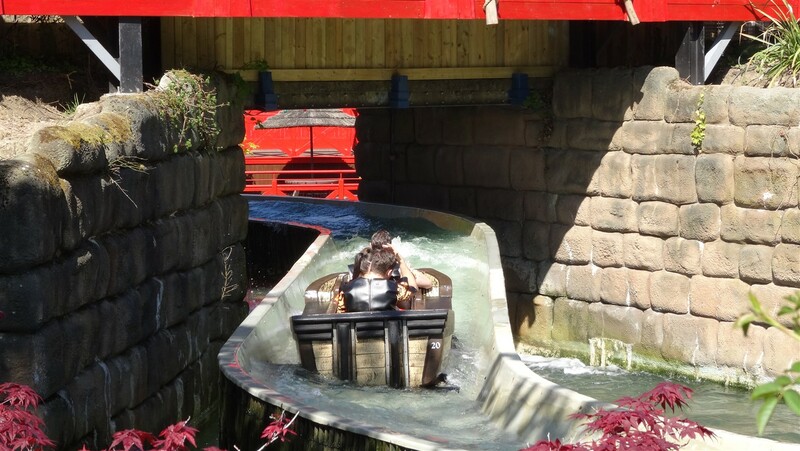 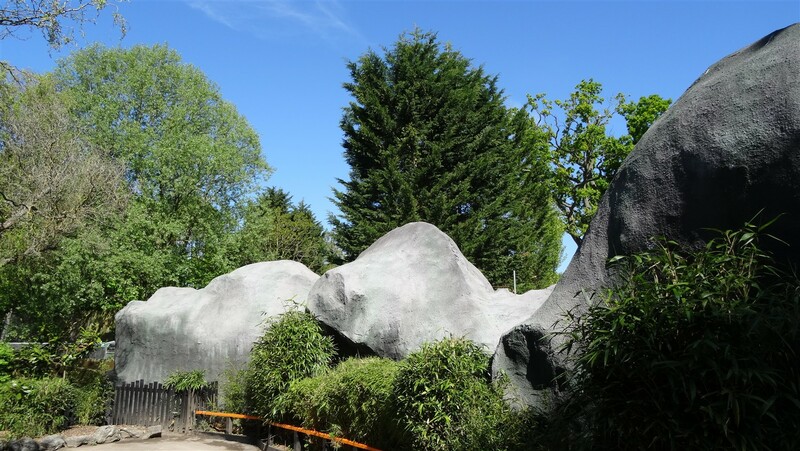 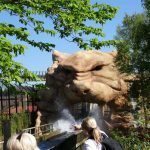 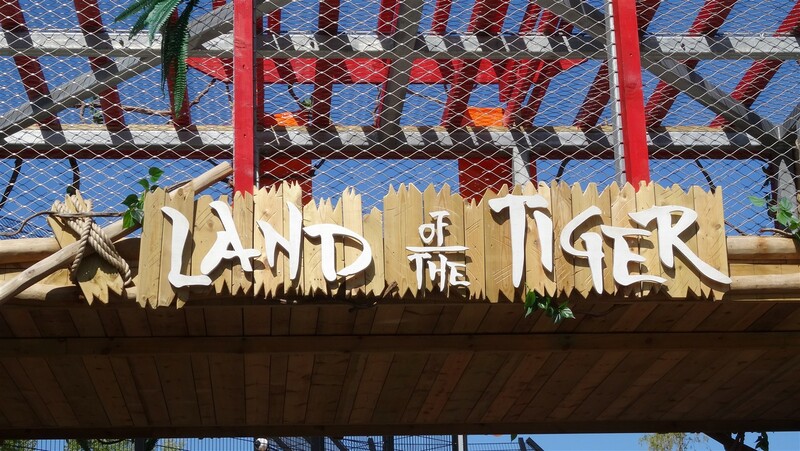 New for 2018 the land is home to the parks log flume ride, Tiger Rock and features all new scenery including a huge Tiger on the main drop. 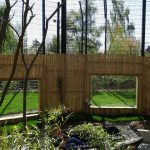 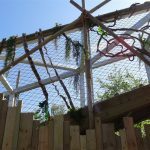 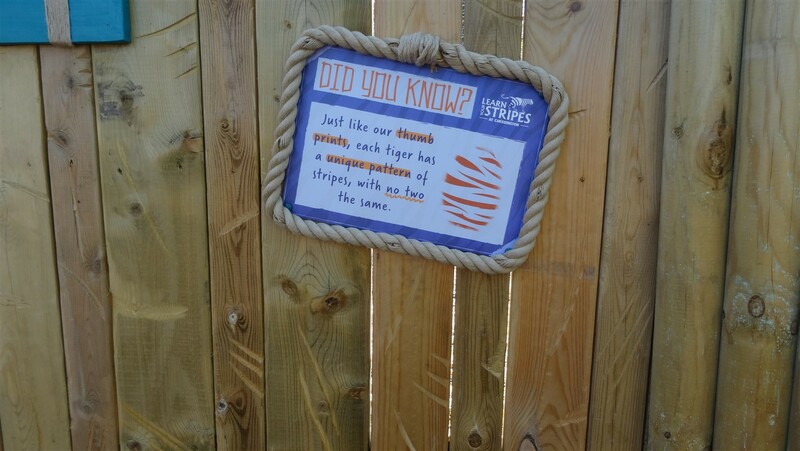 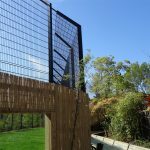 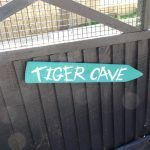 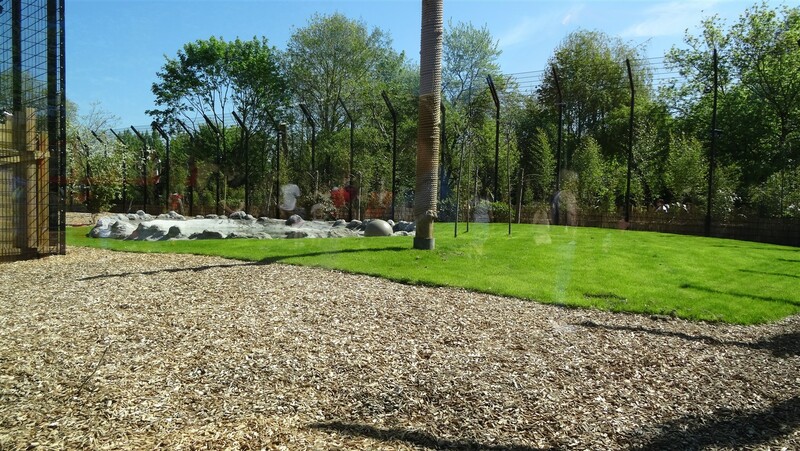 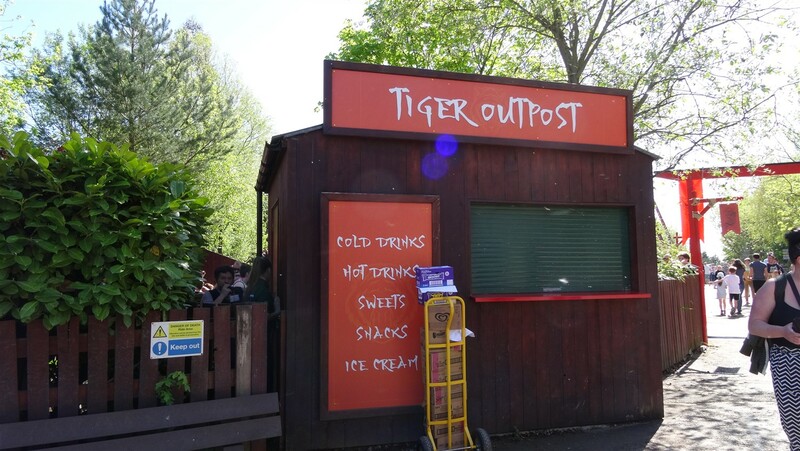 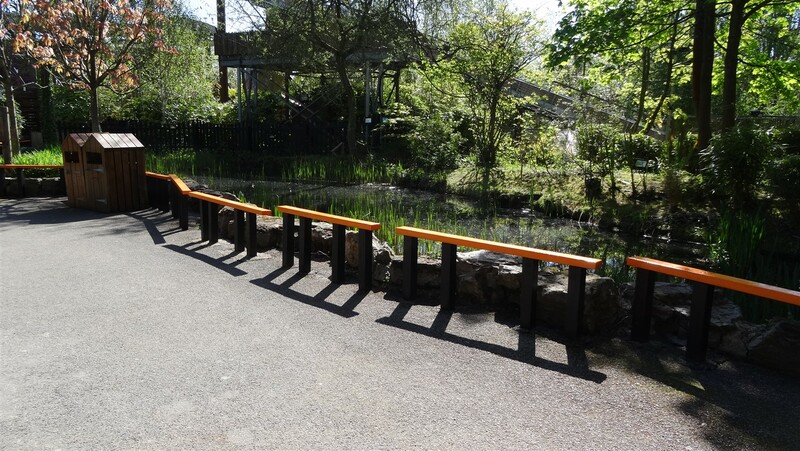 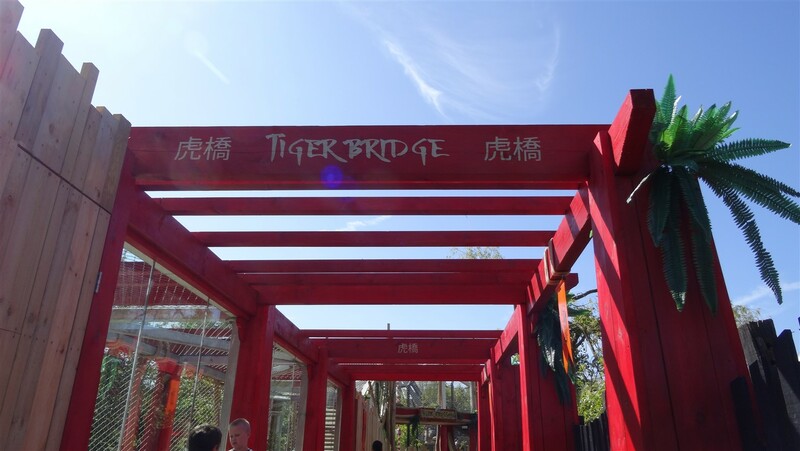 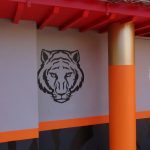 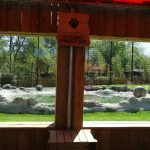 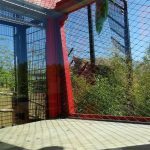 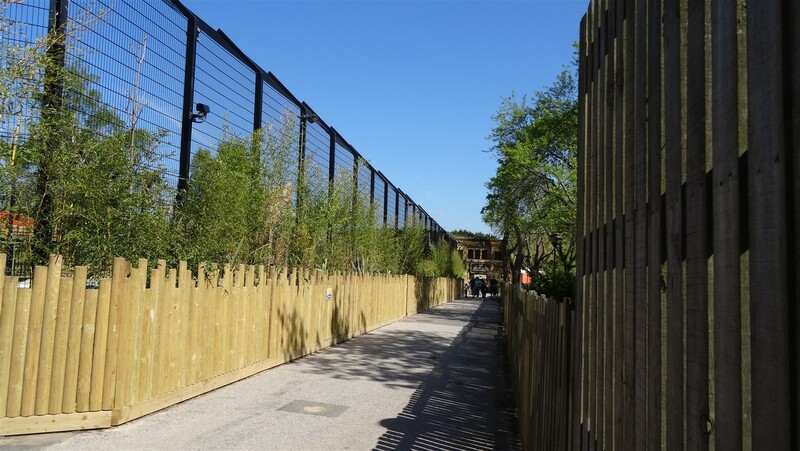 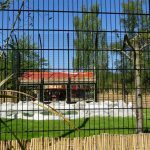 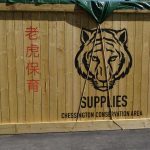 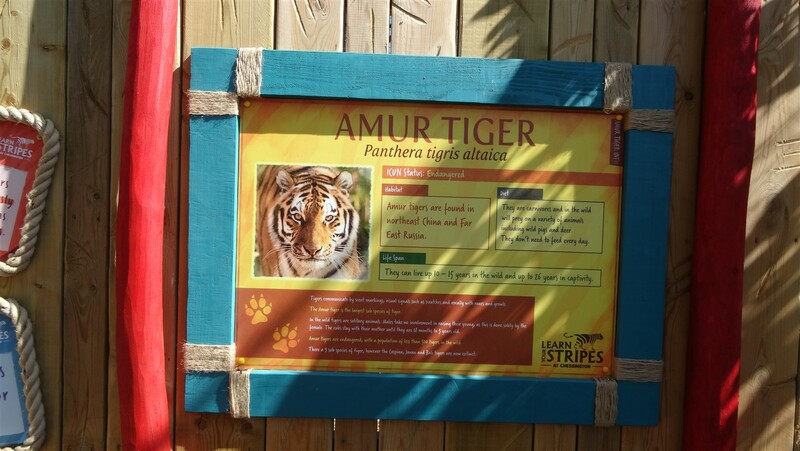 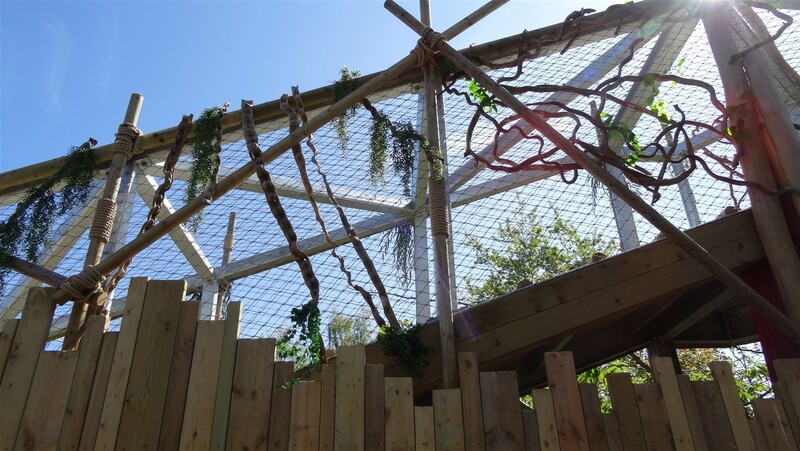 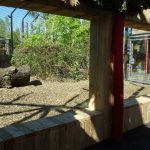 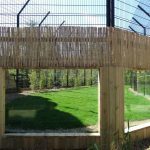 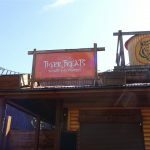 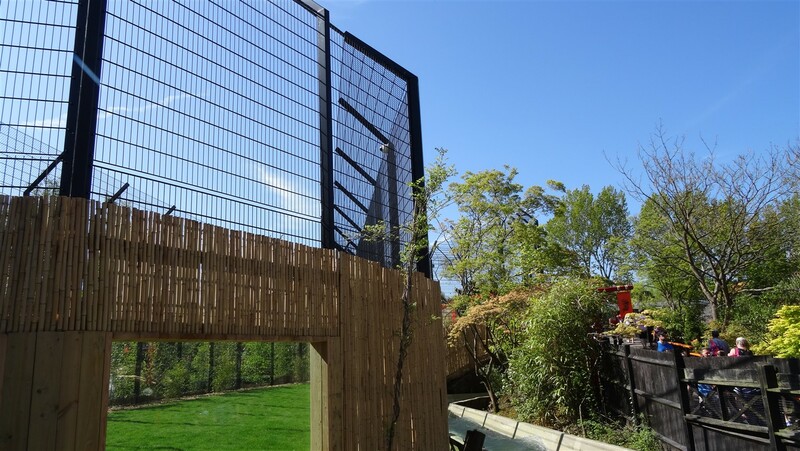 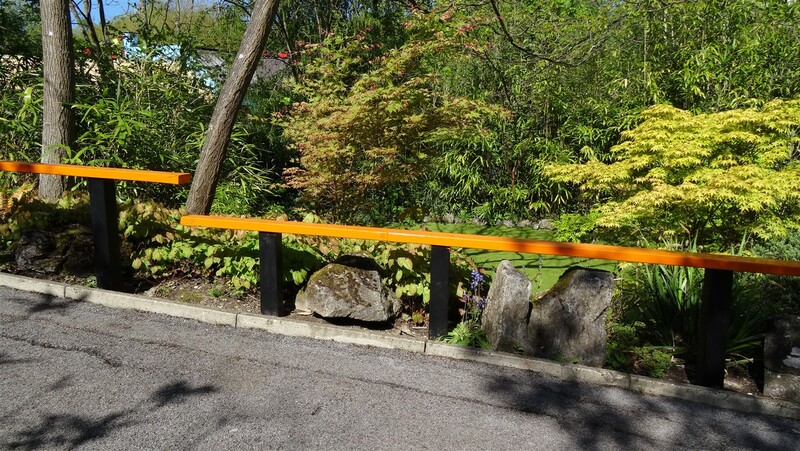 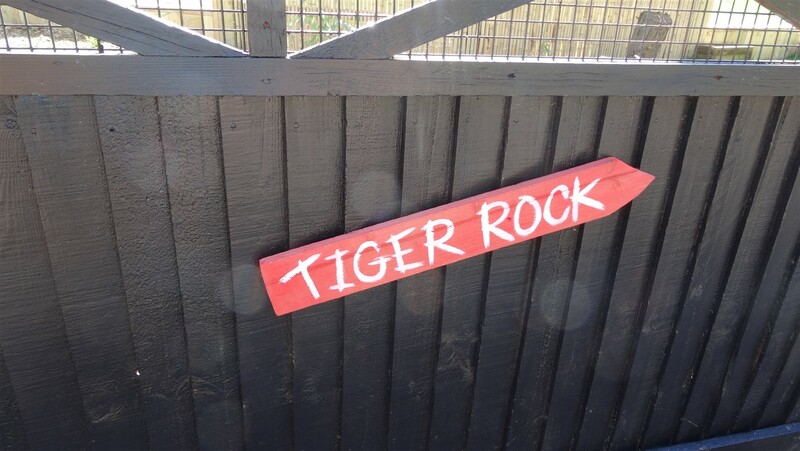 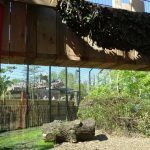 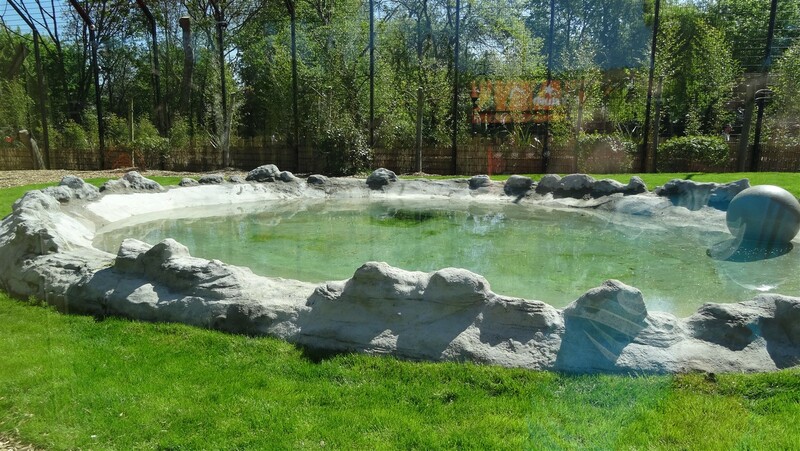 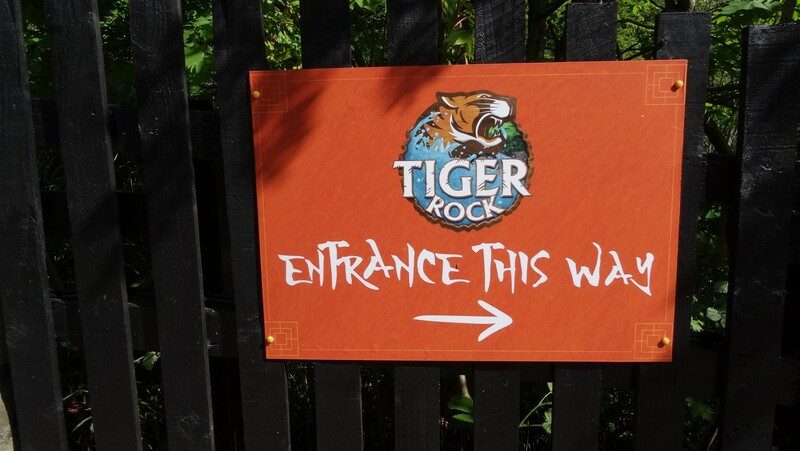 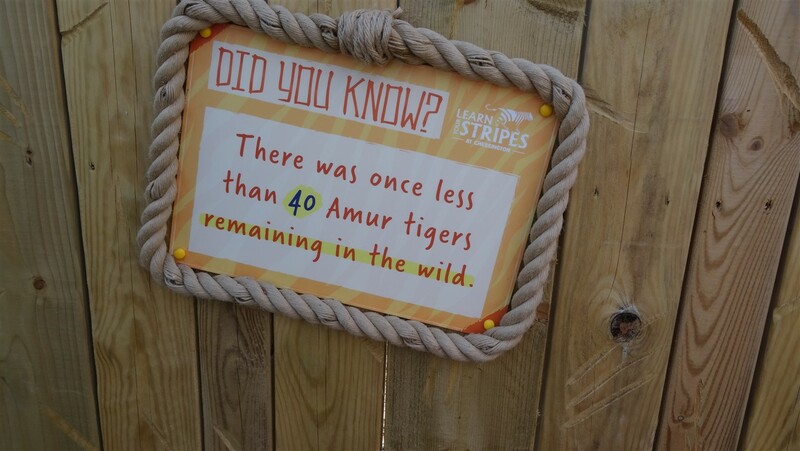 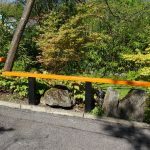 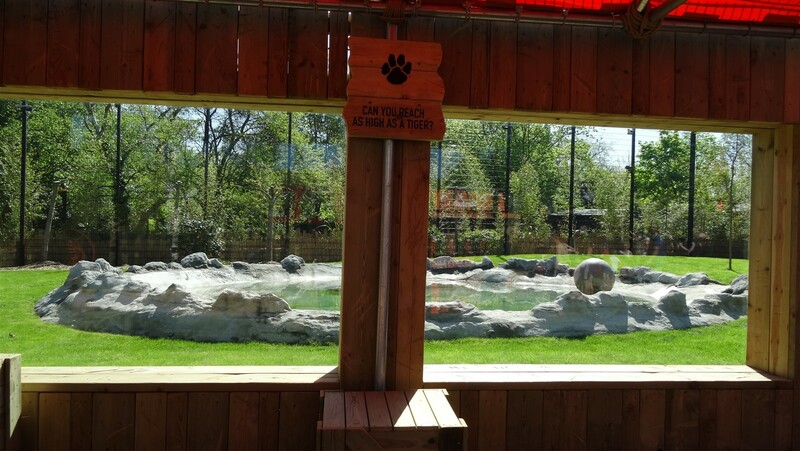 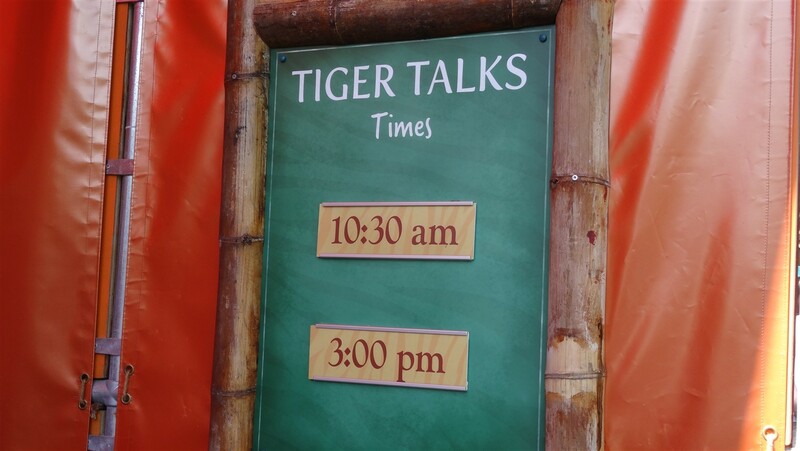 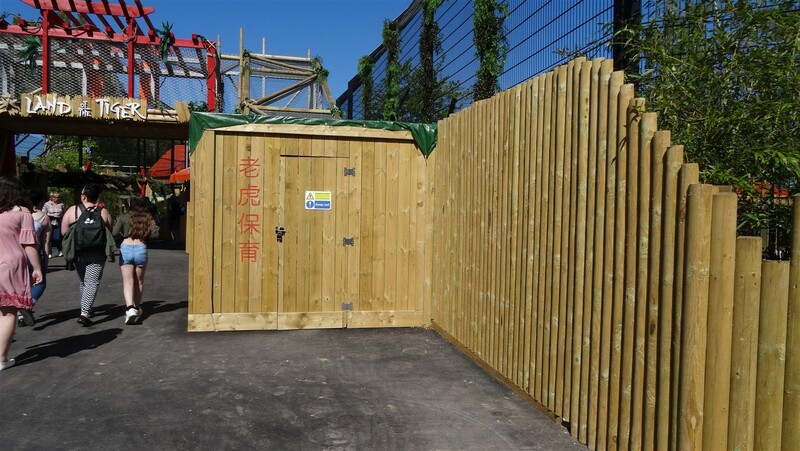 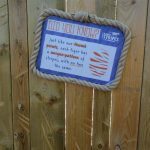 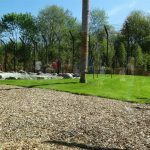 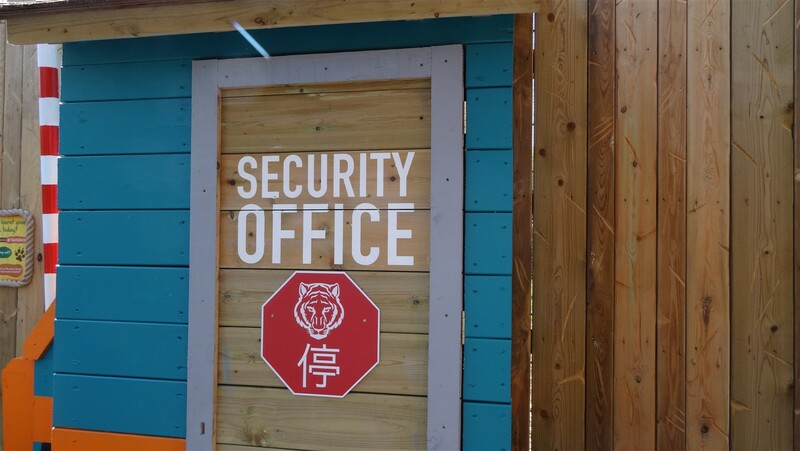 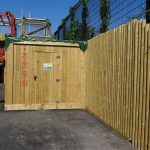 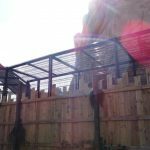 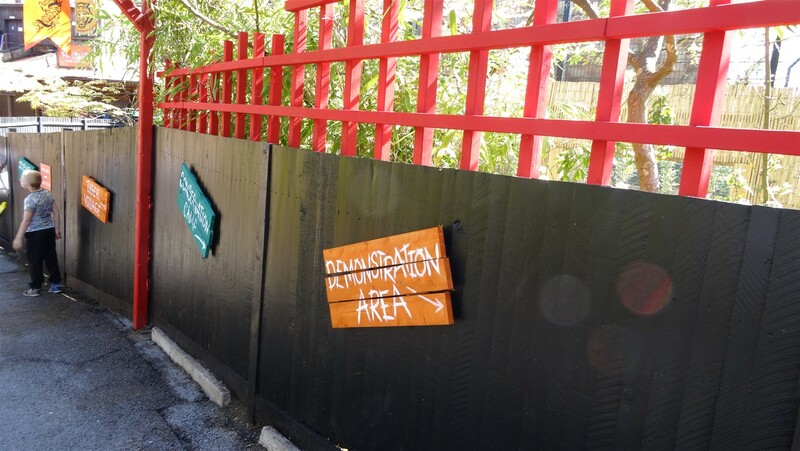 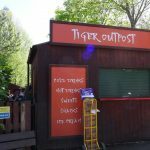 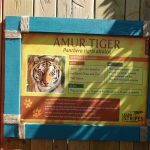 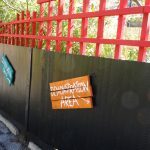 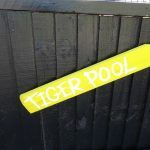 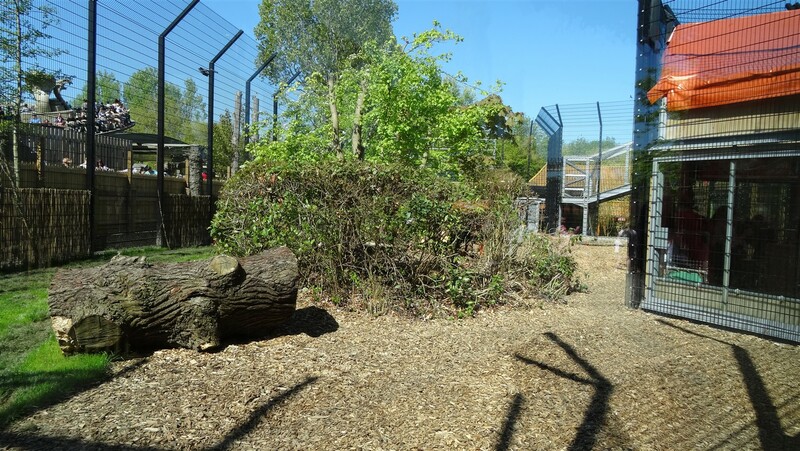 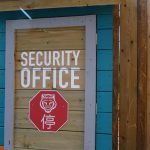 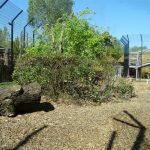 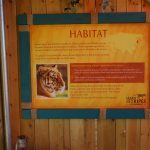 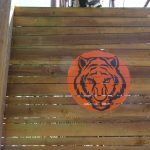 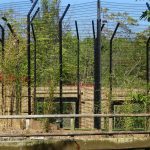 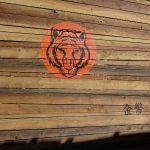 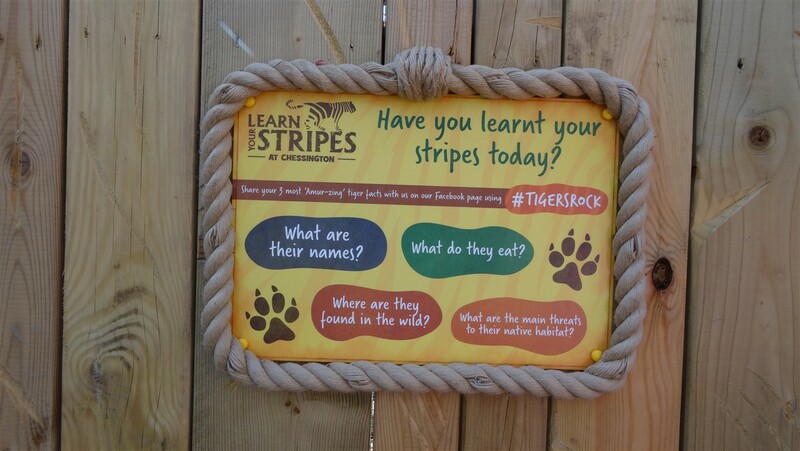 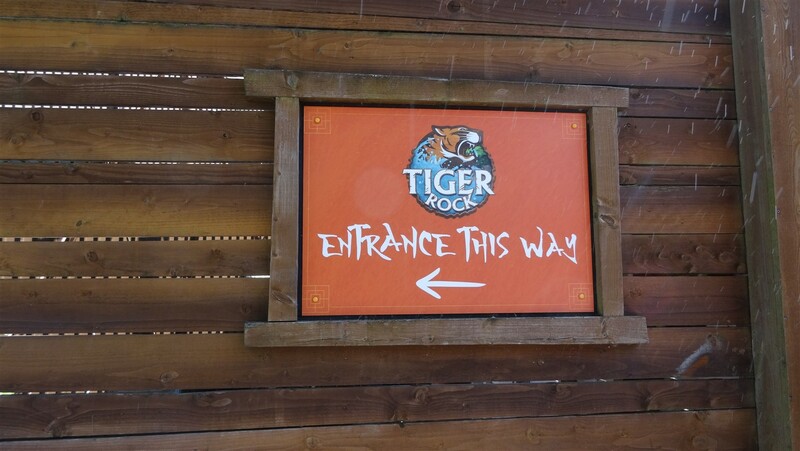 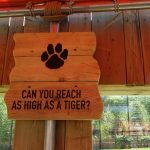 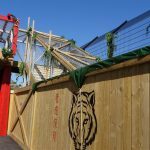 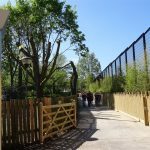 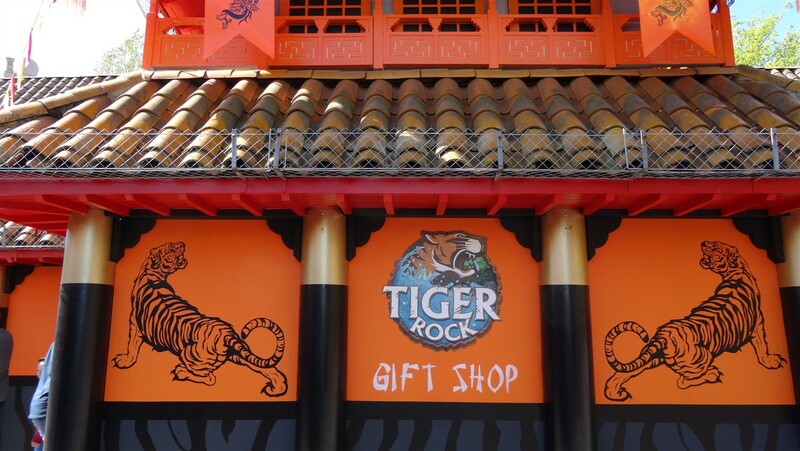 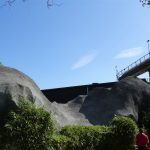 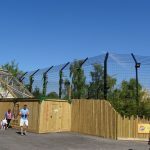 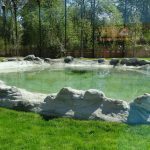 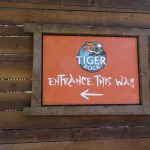 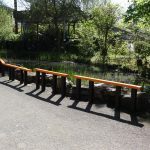 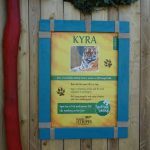 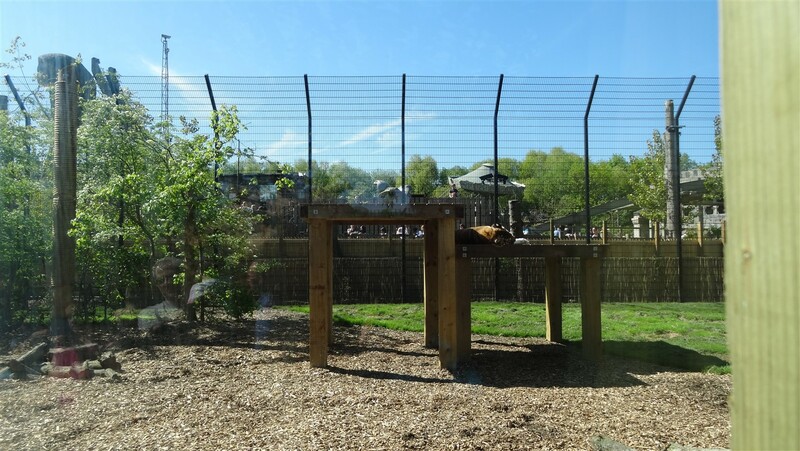 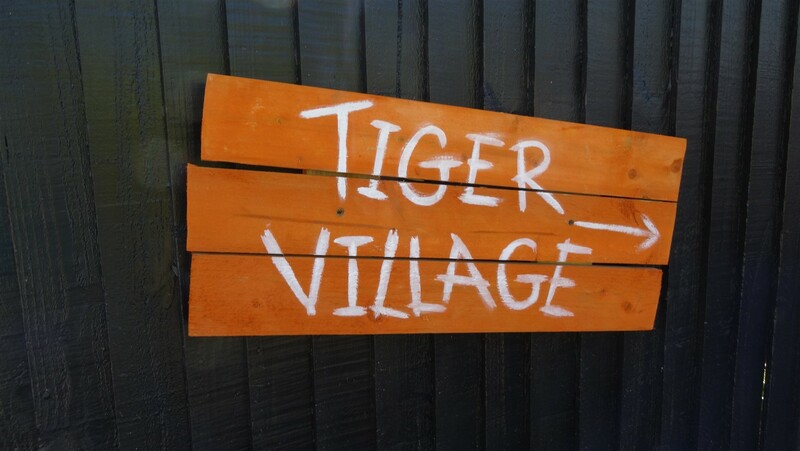 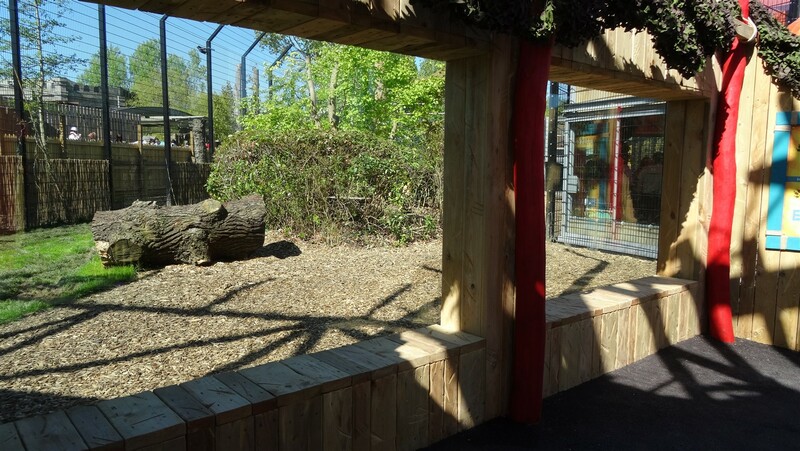 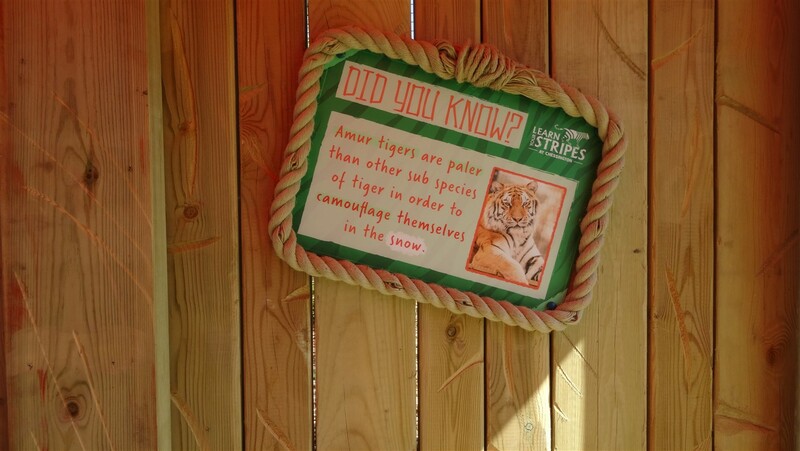 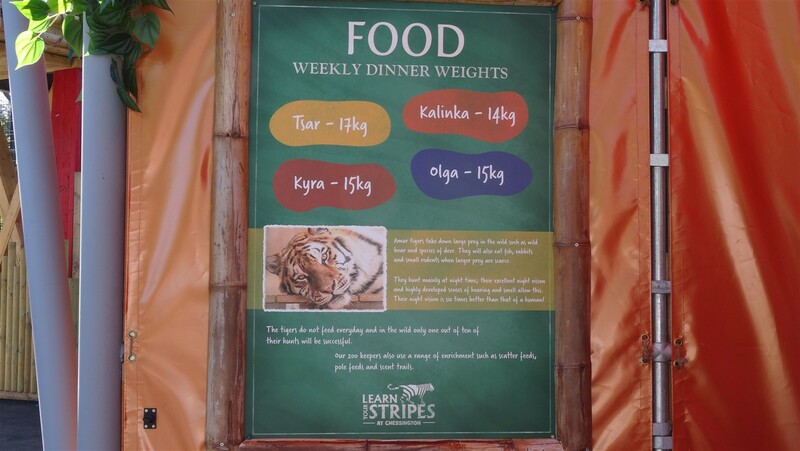 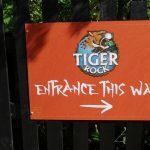 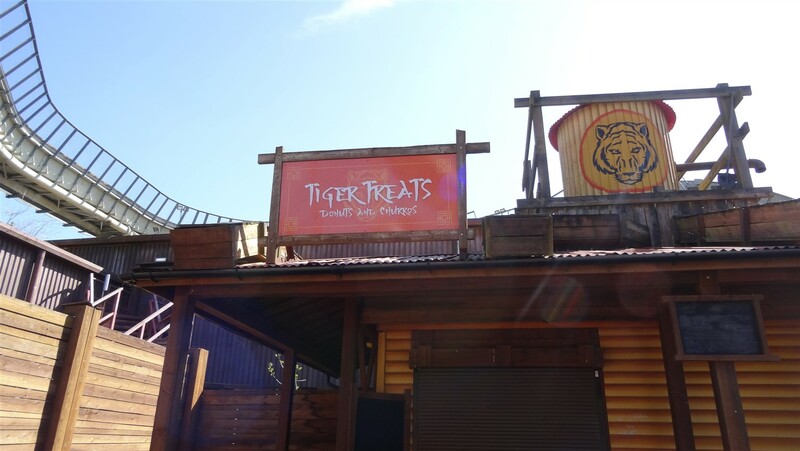 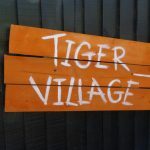 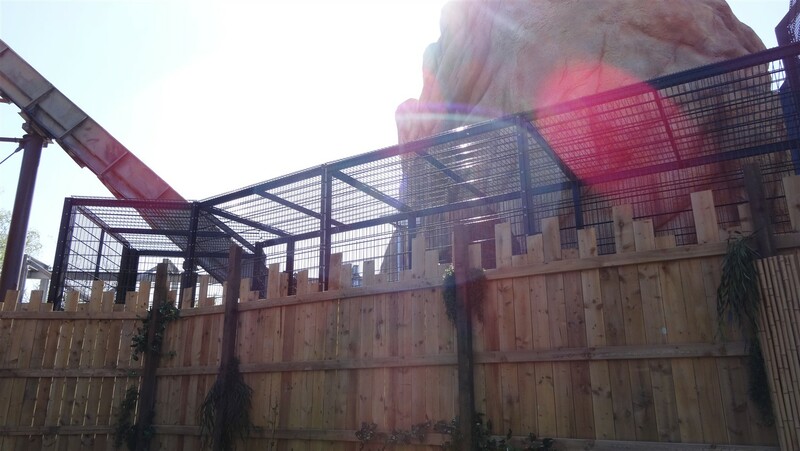 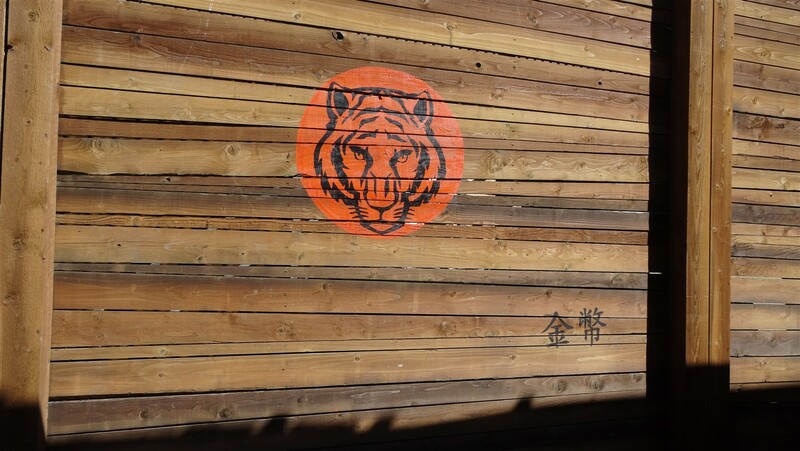 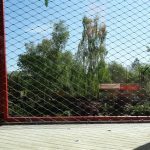 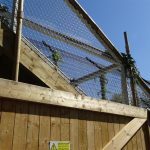 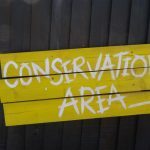 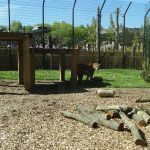 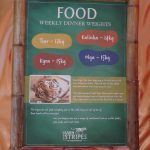 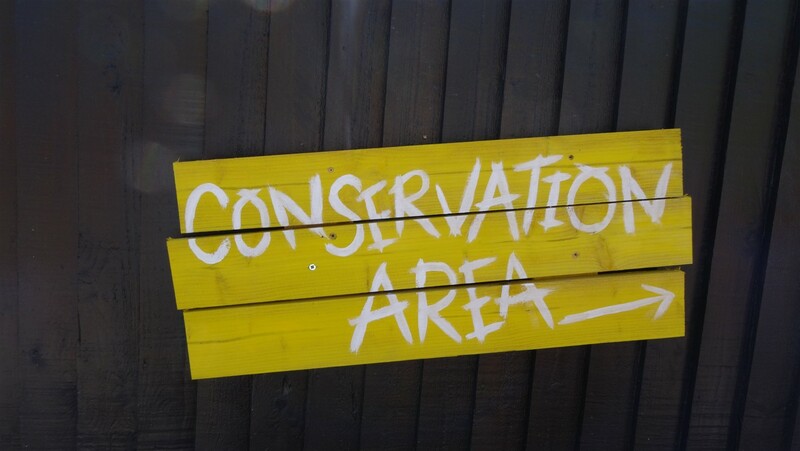 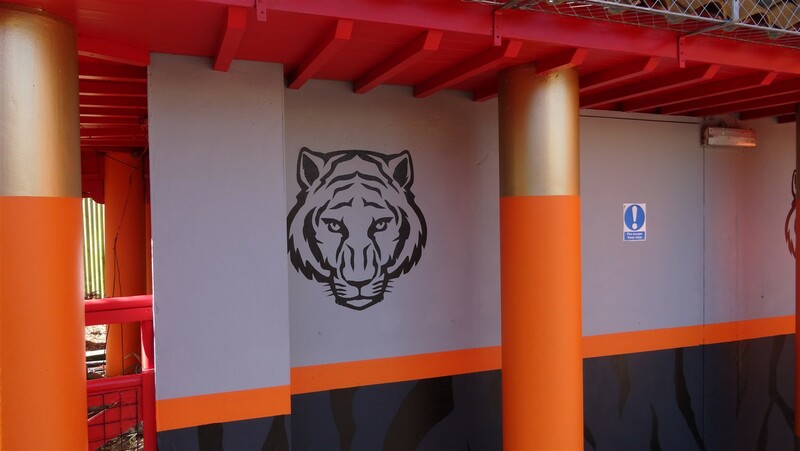 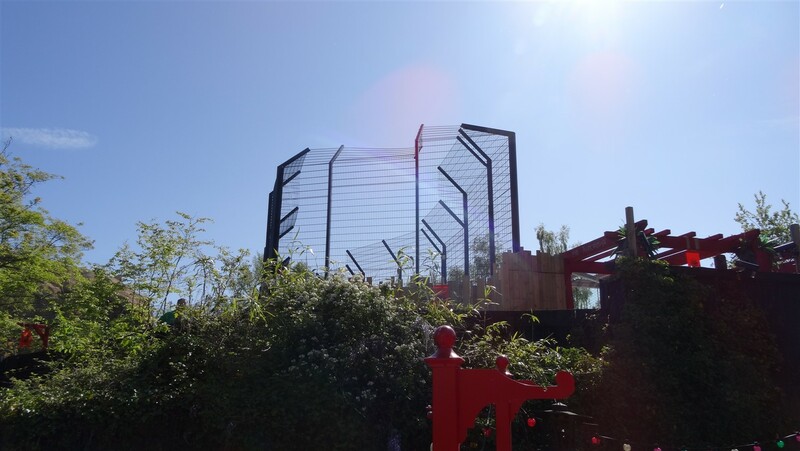 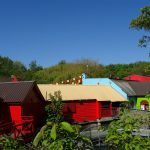 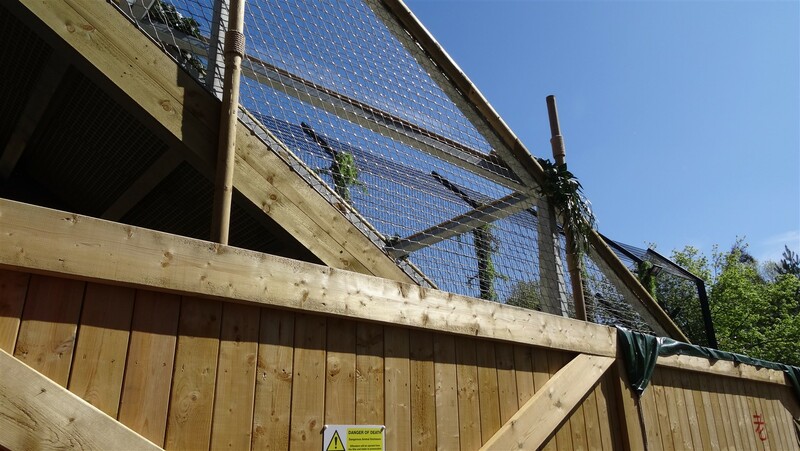 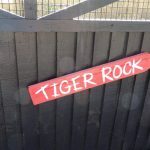 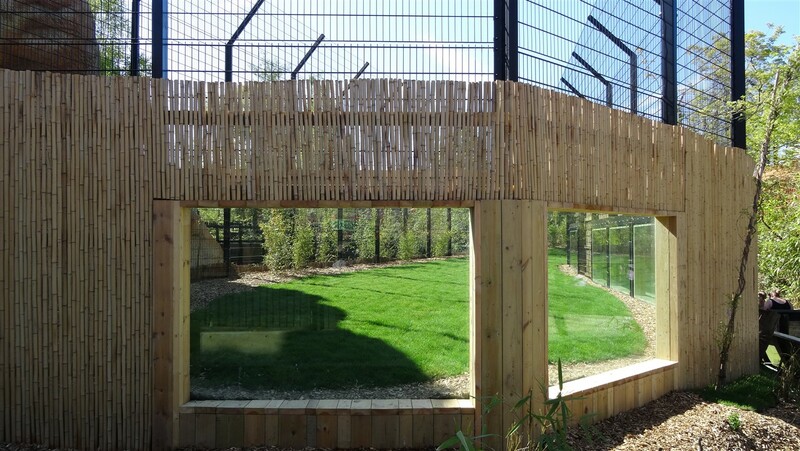 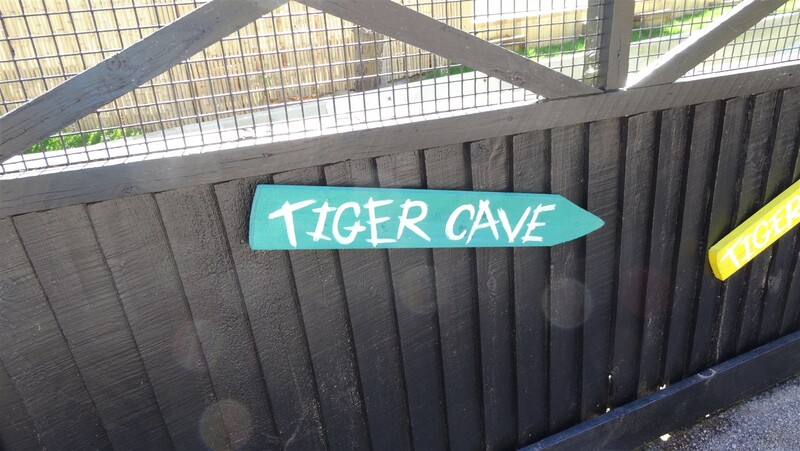 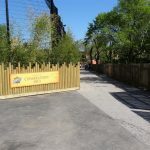 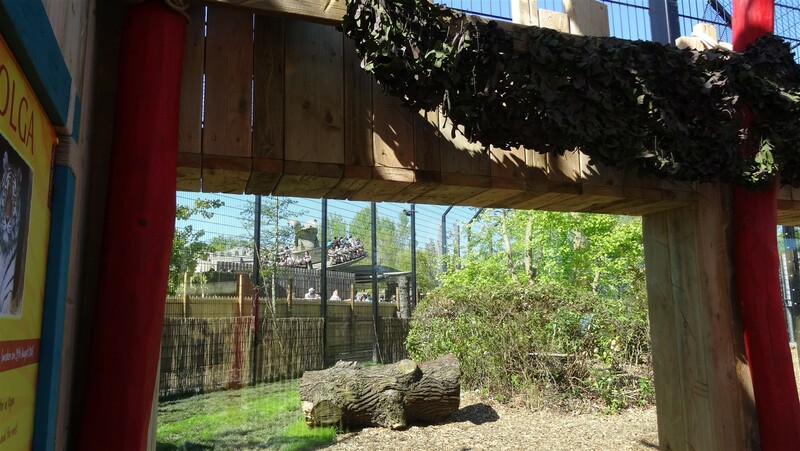 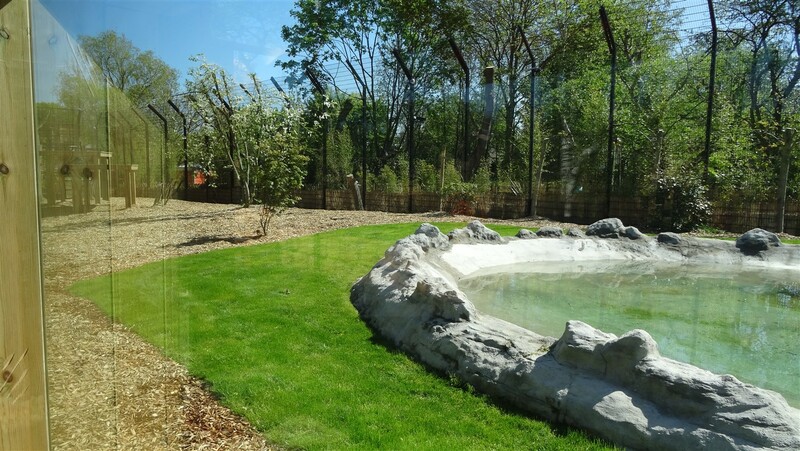 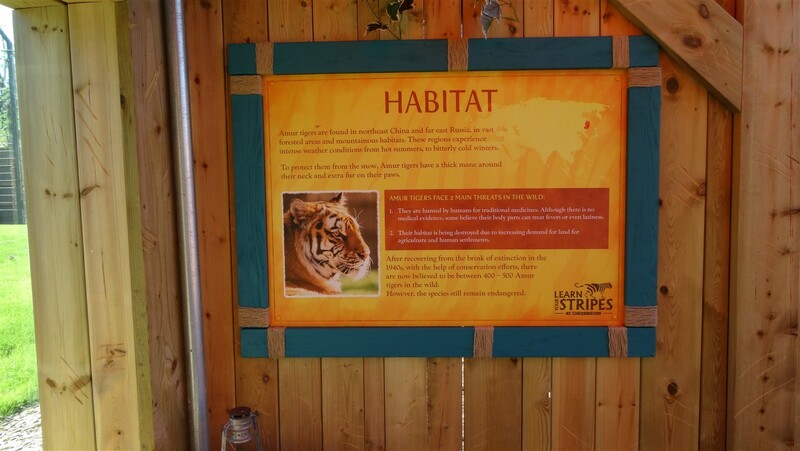 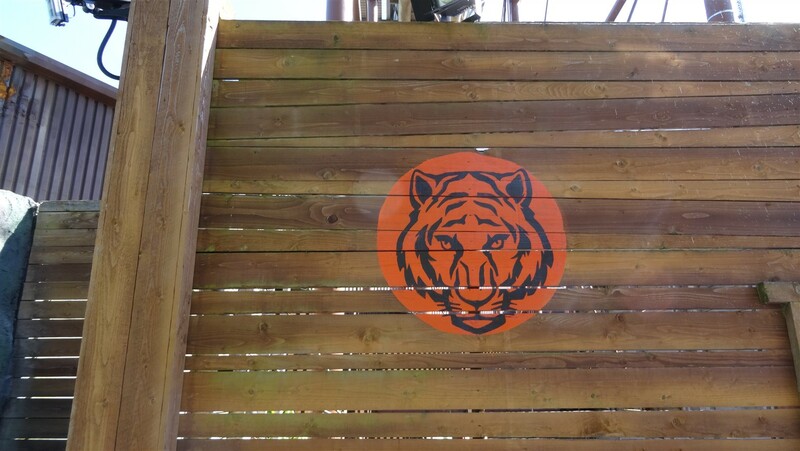 That isn’t the main part, Land of the Tigers features 4 new Amur Tigers to the park who are housed in 3 new dens around the Tiger Rock main drop area. 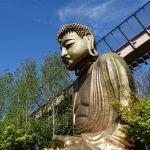 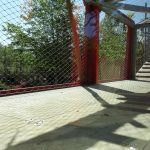 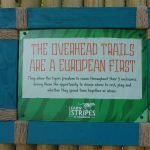 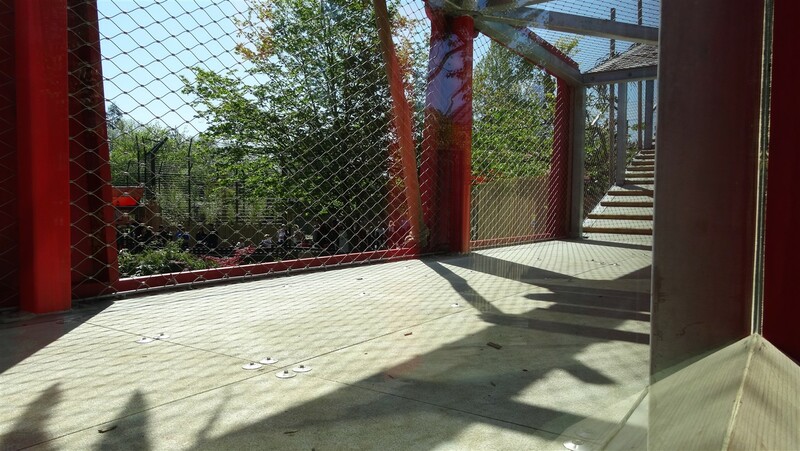 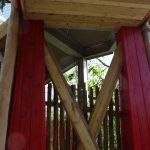 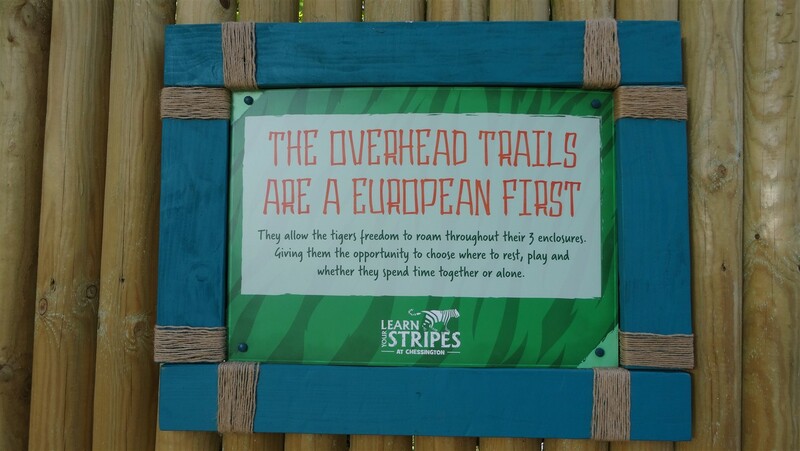 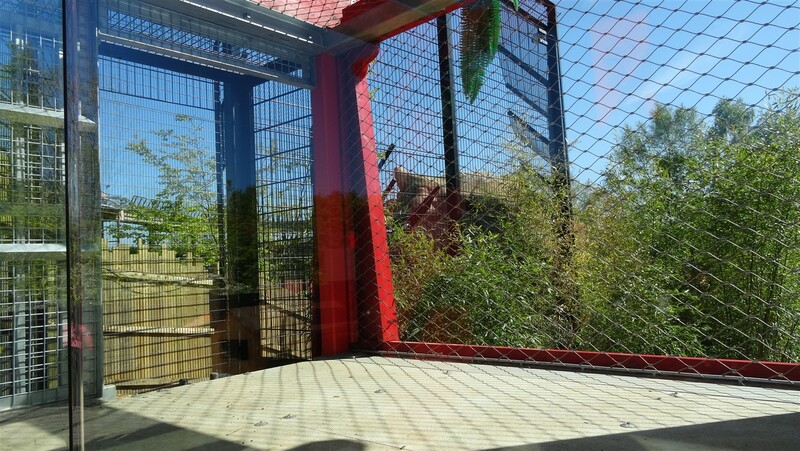 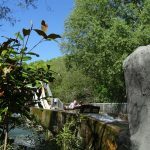 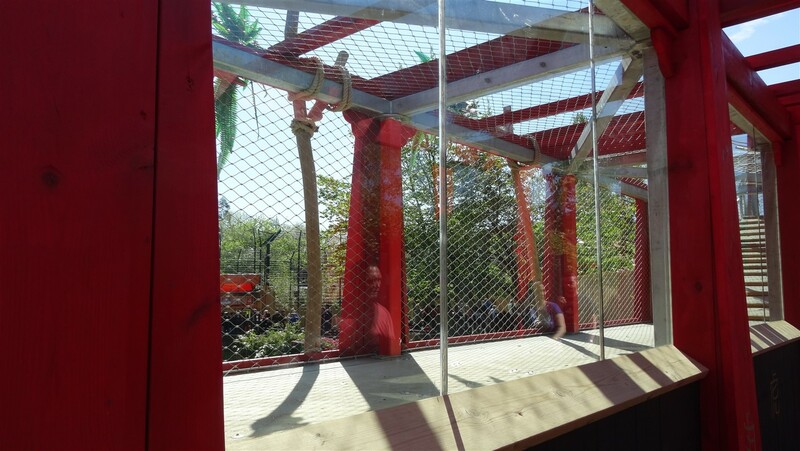 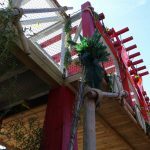 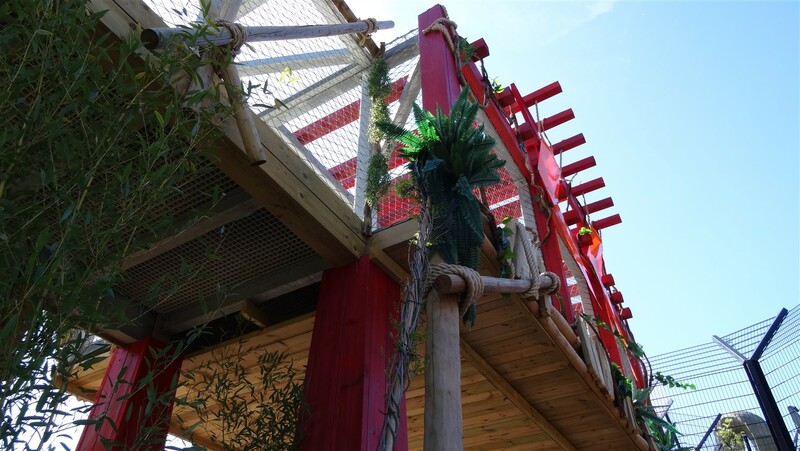 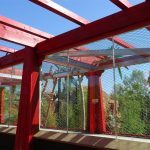 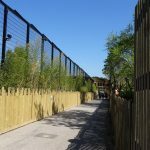 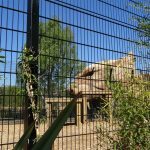 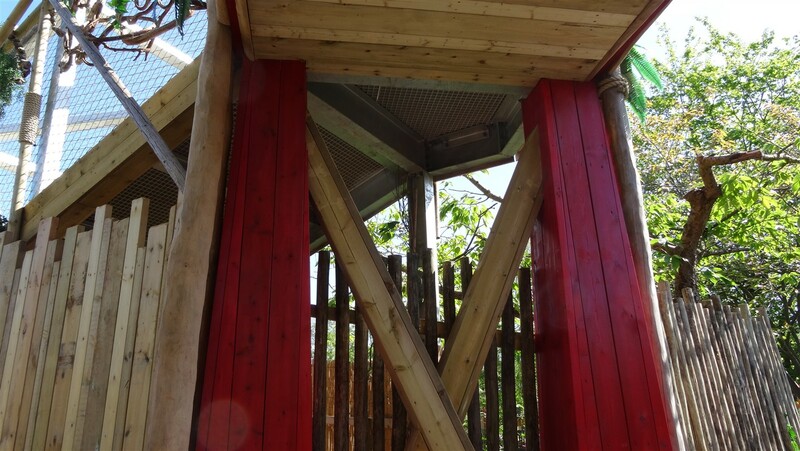 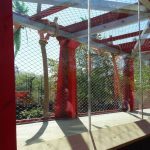 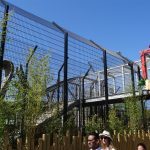 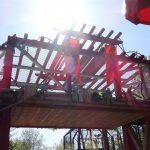 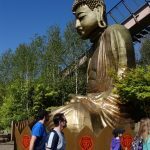 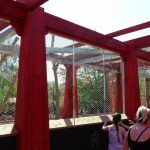 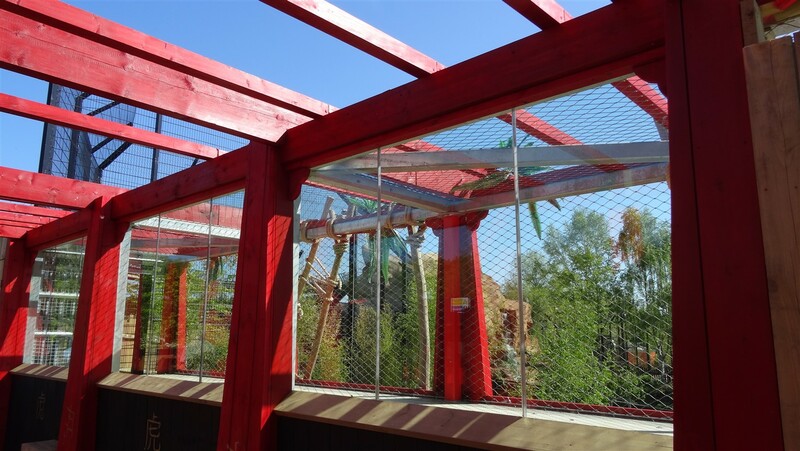 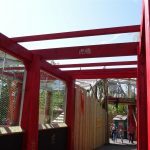 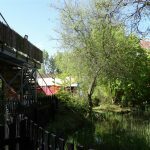 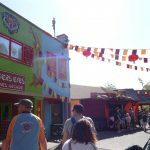 This allows you to not only see them from the ride but also from under the new Tiger walkways, a first in Europe towering above you. 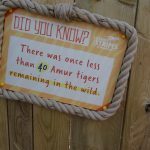 The Land has been transformed as you can get closer than ever to these majestic Amur Tigers, with views from the ride and a walk with them across the bridge there is more than just the walk overs. 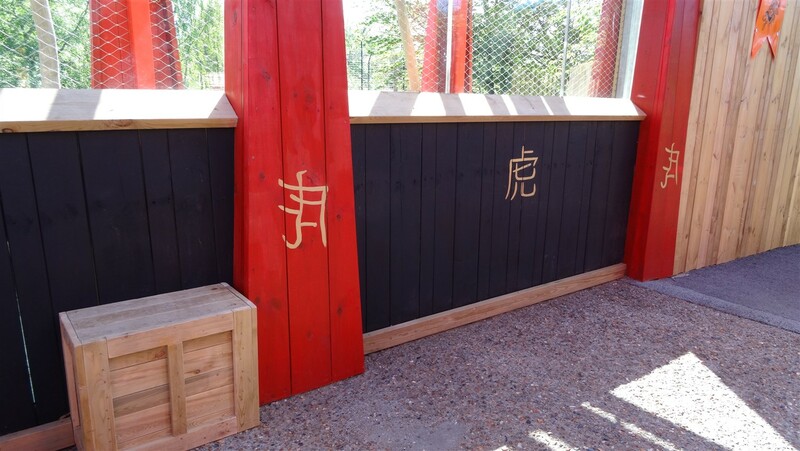 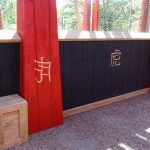 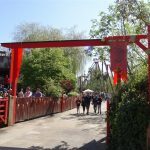 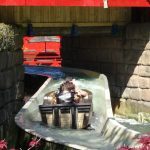 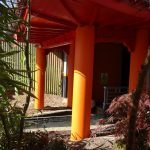 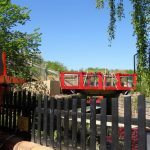 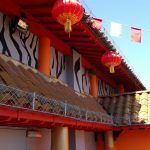 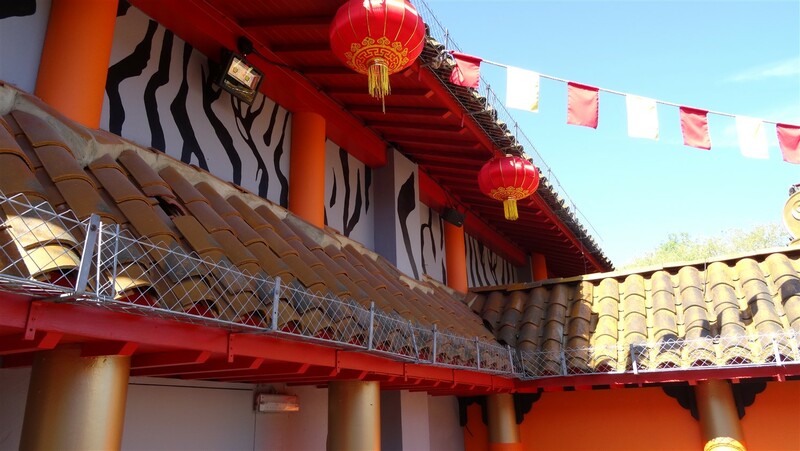 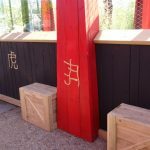 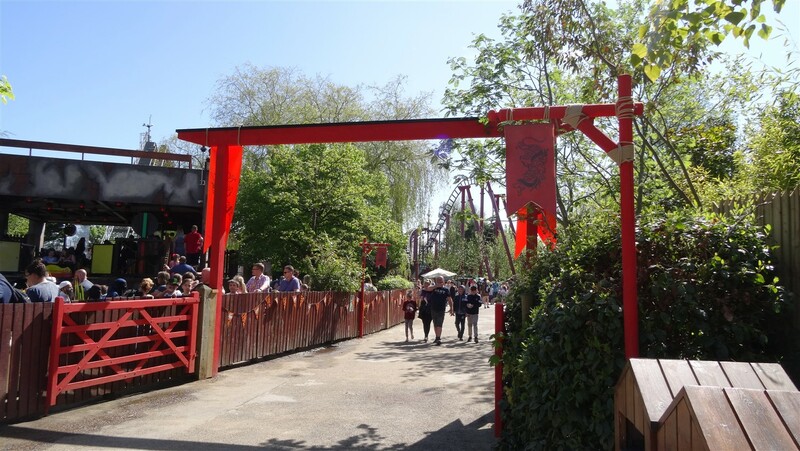 Previously home to the Magic Carpet from 1987 to 1998, Samurai from 1999 – 2004 and Peeking Heights from 2006 – 2017 this will be the first time no further ride is planned to located in this area. 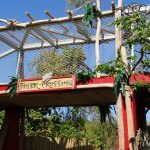 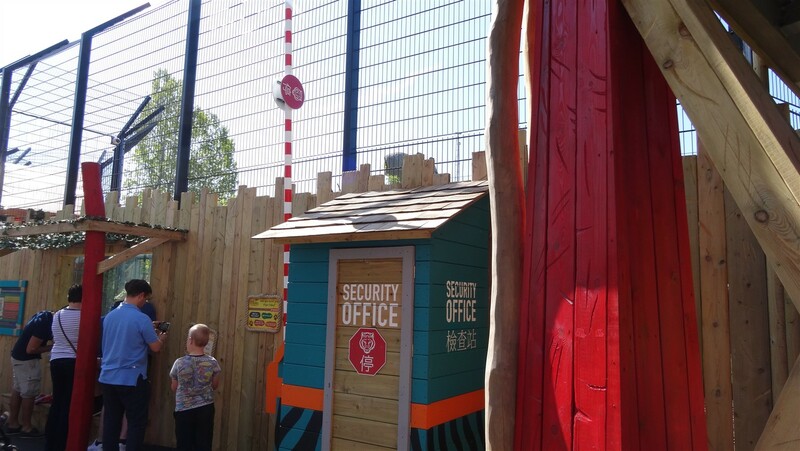 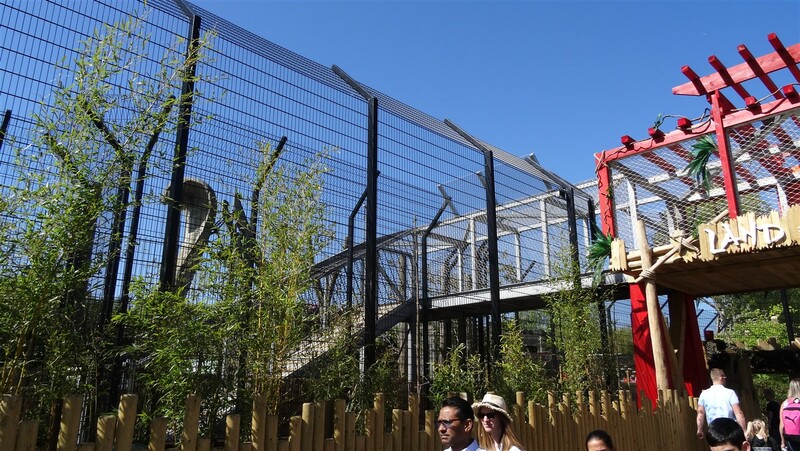 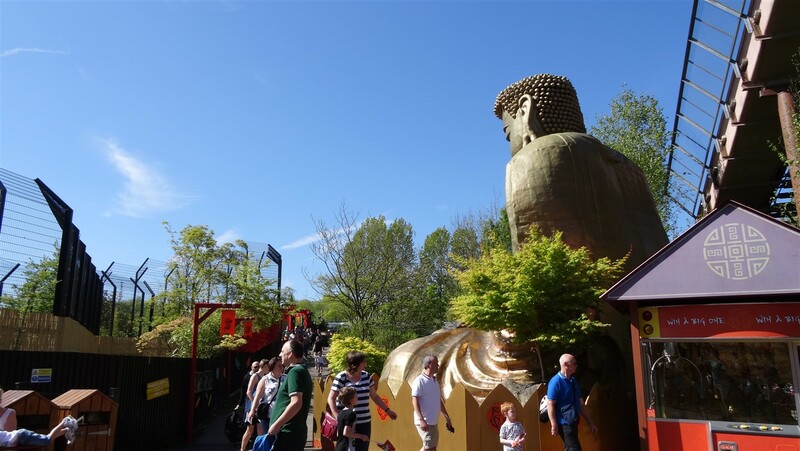 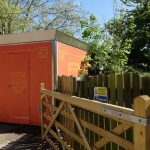 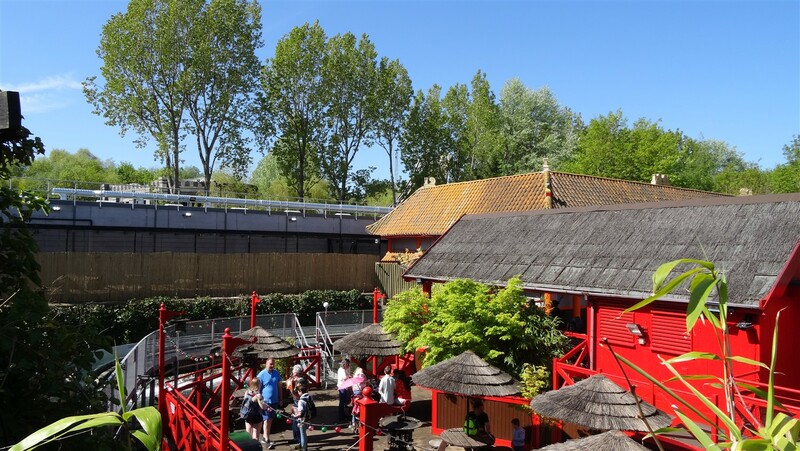 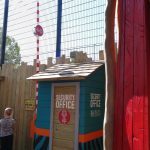 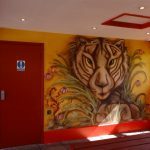 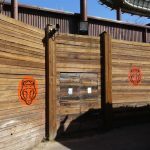 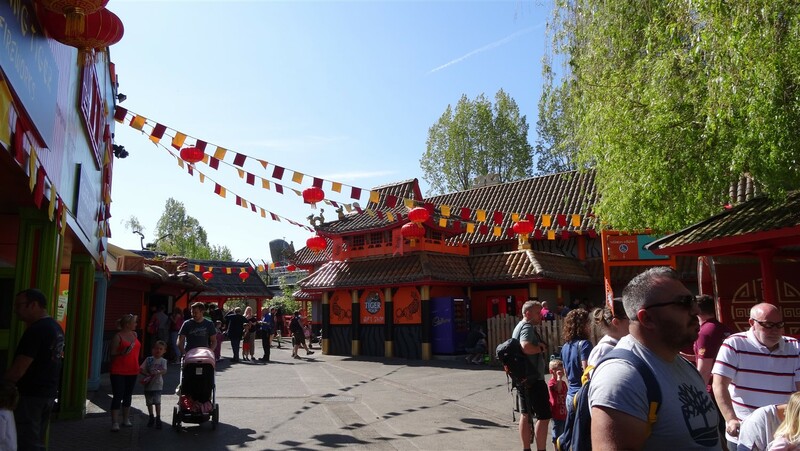 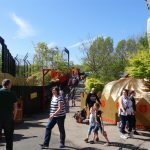 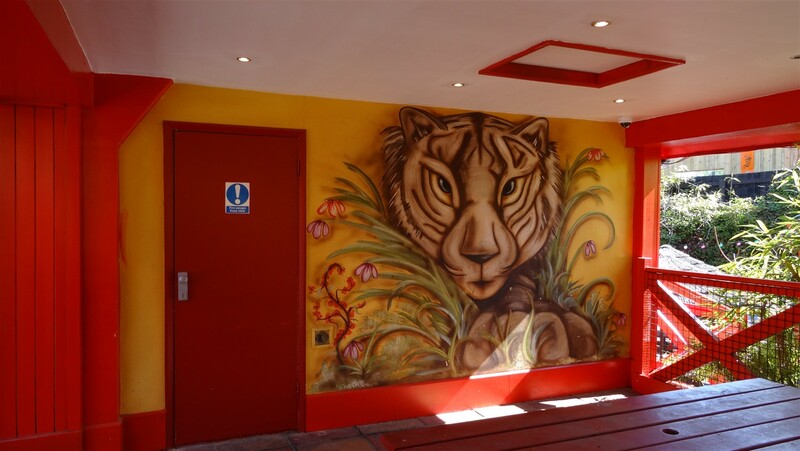 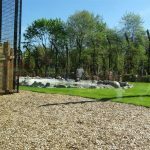 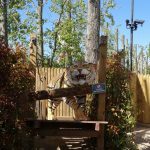 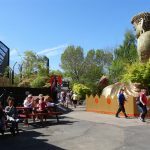 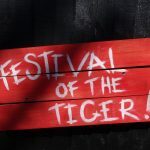 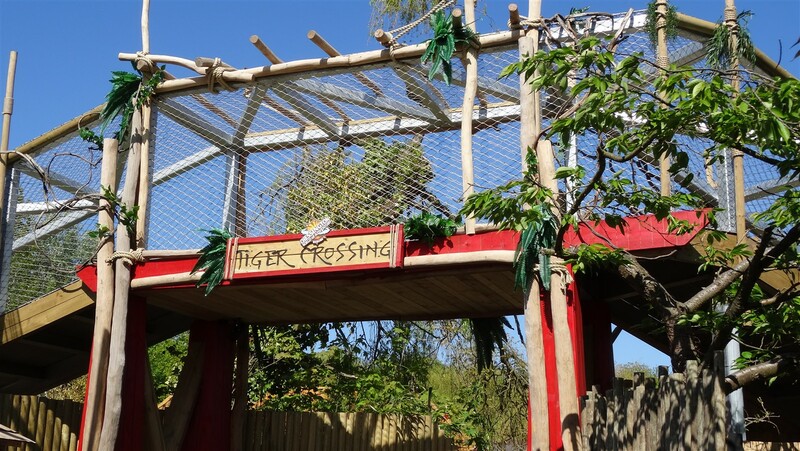 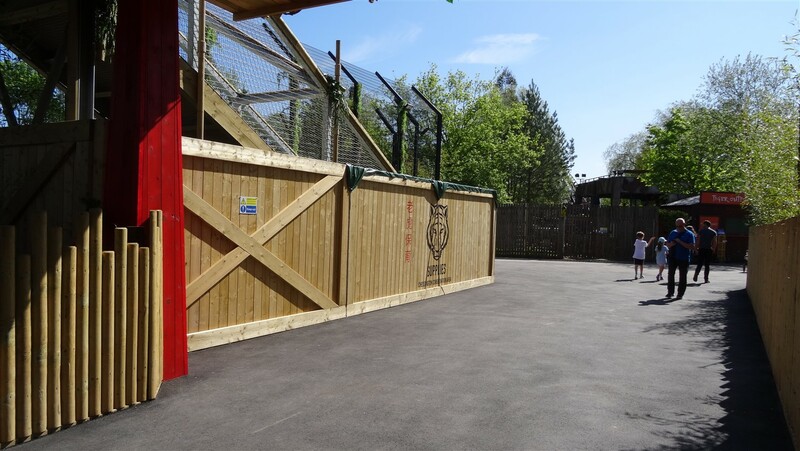 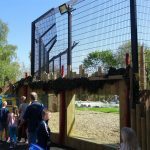 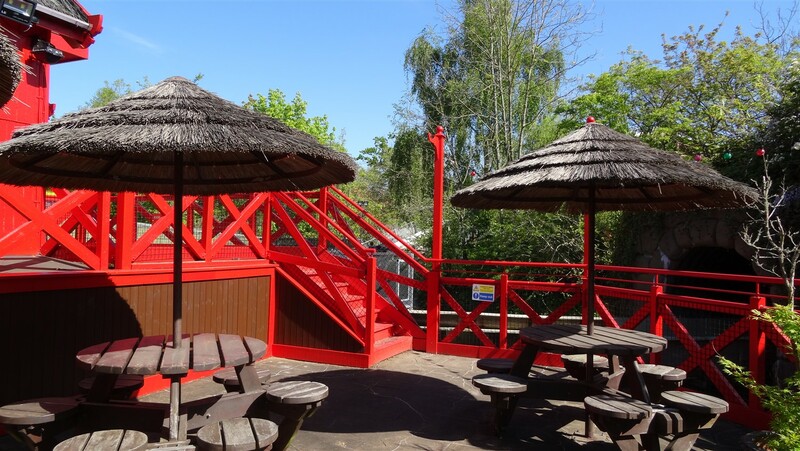 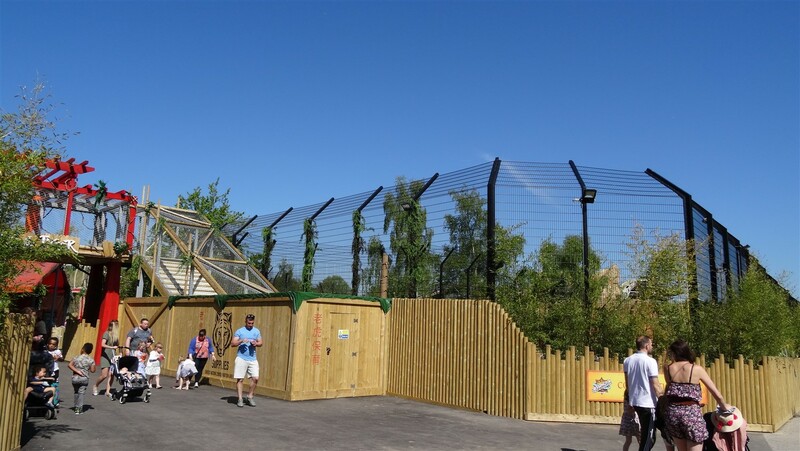 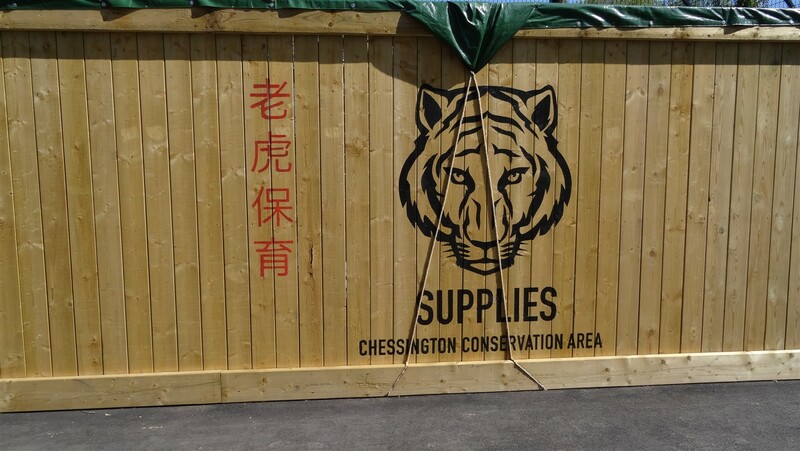 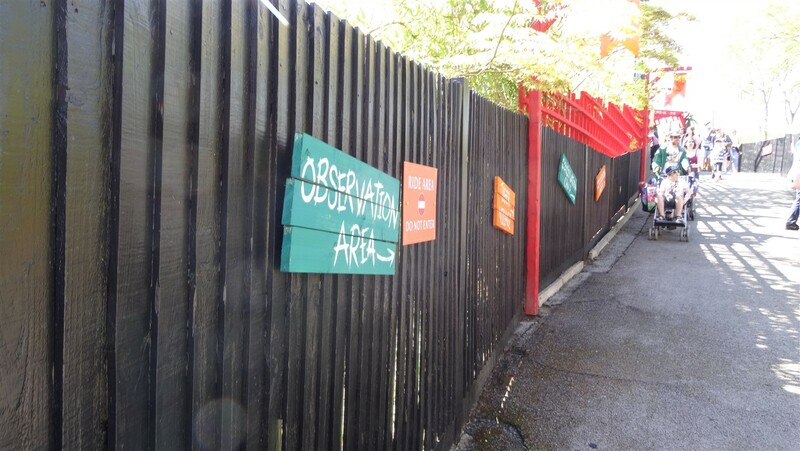 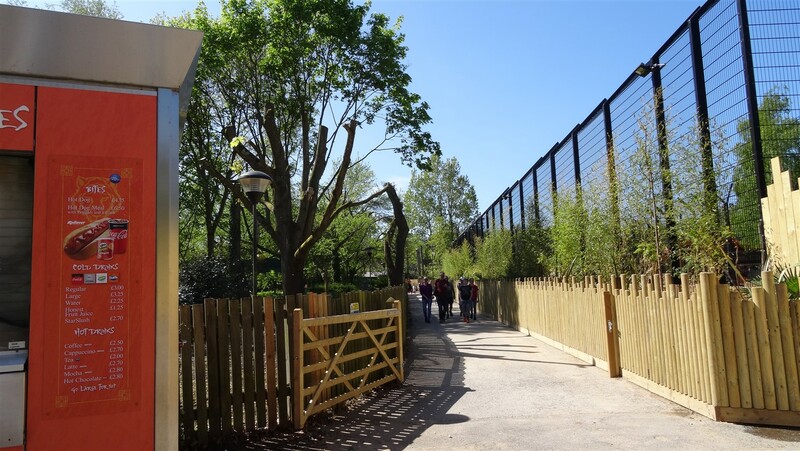 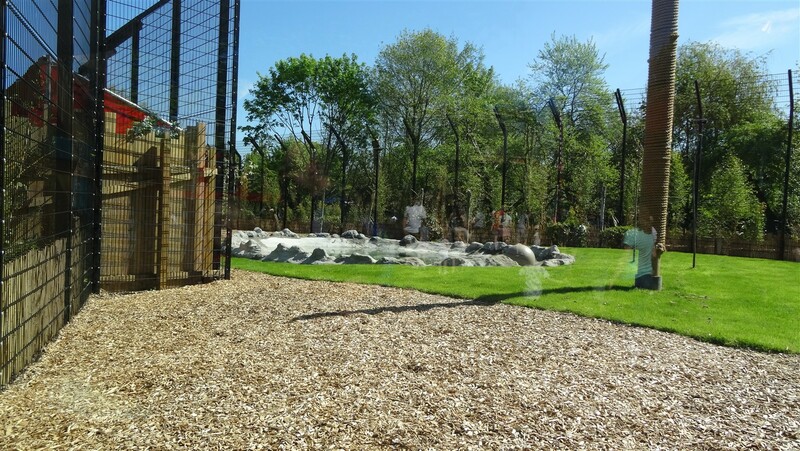 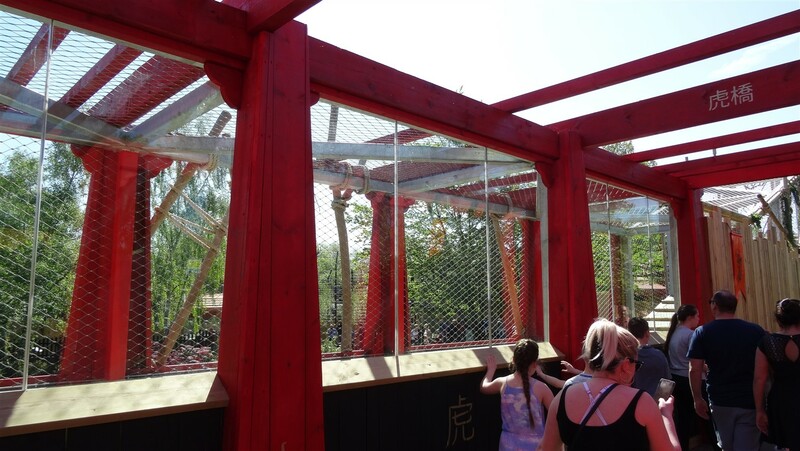 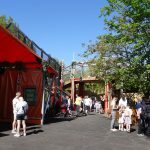 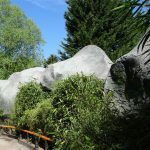 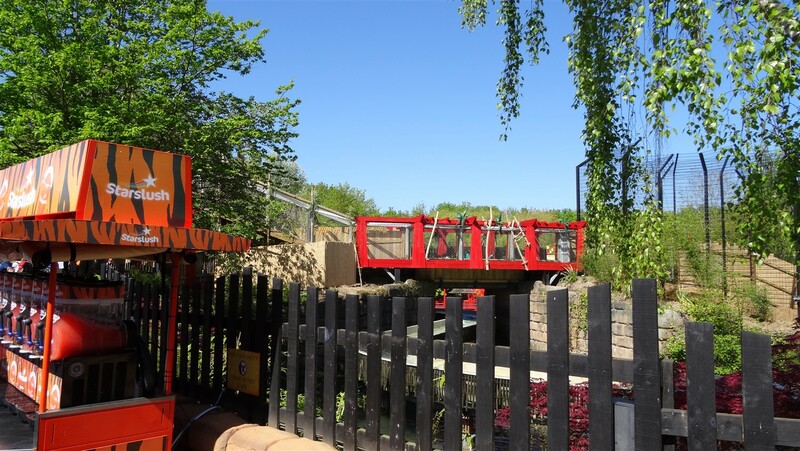 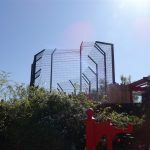 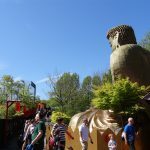 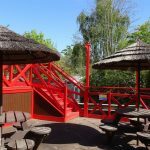 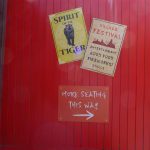 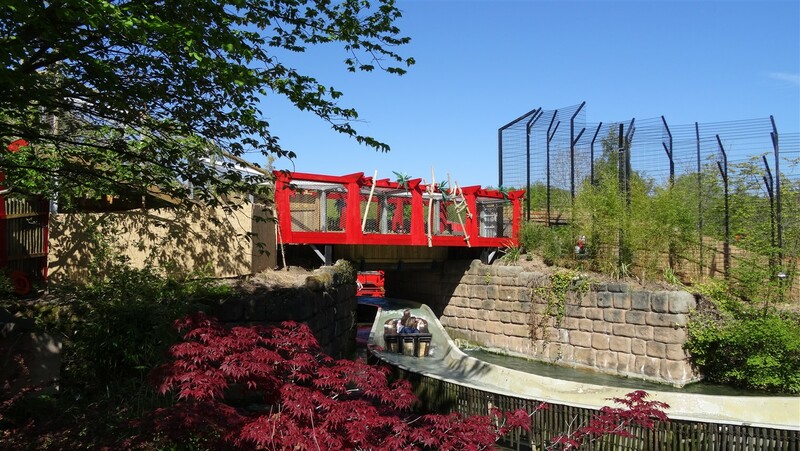 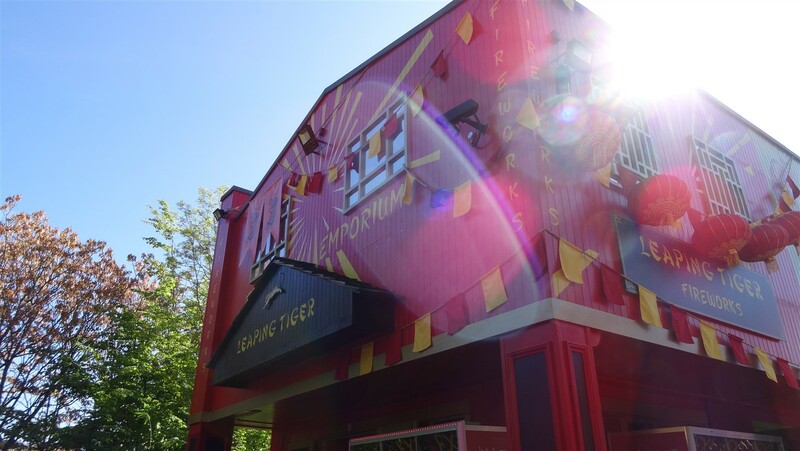 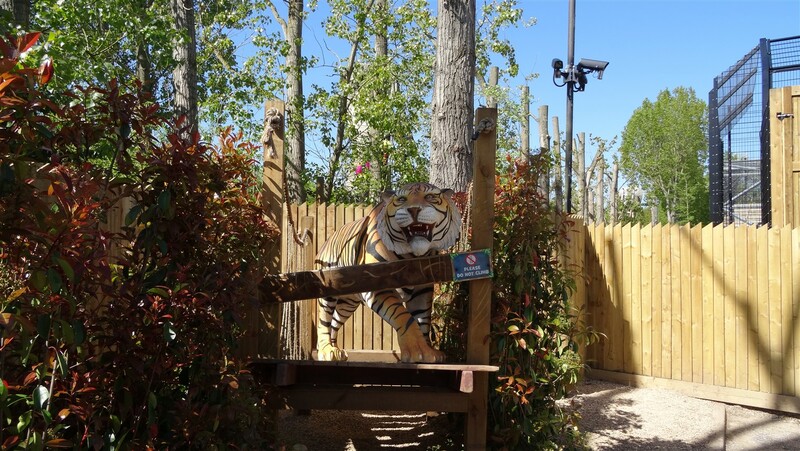 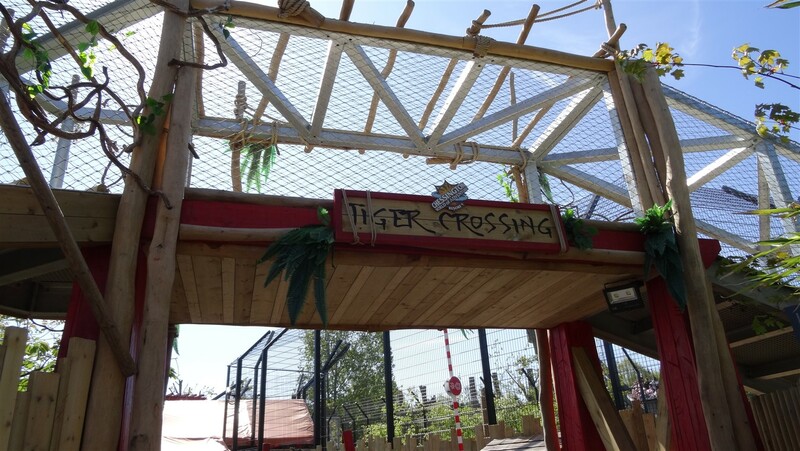 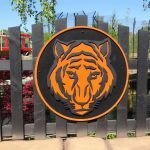 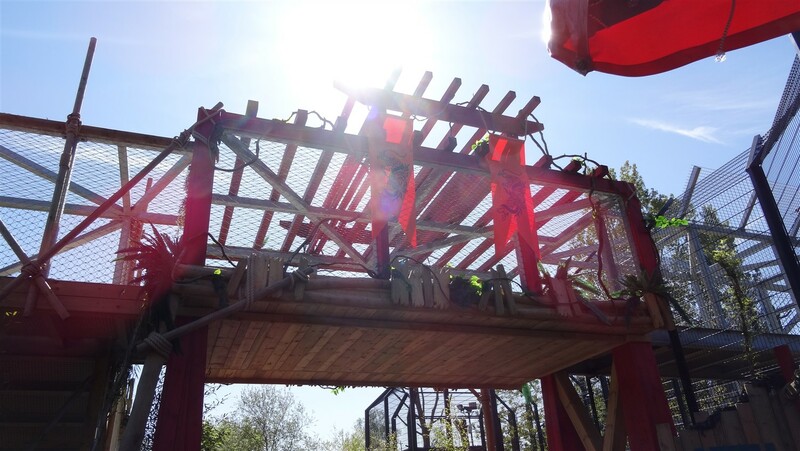 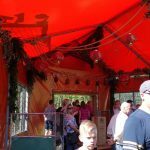 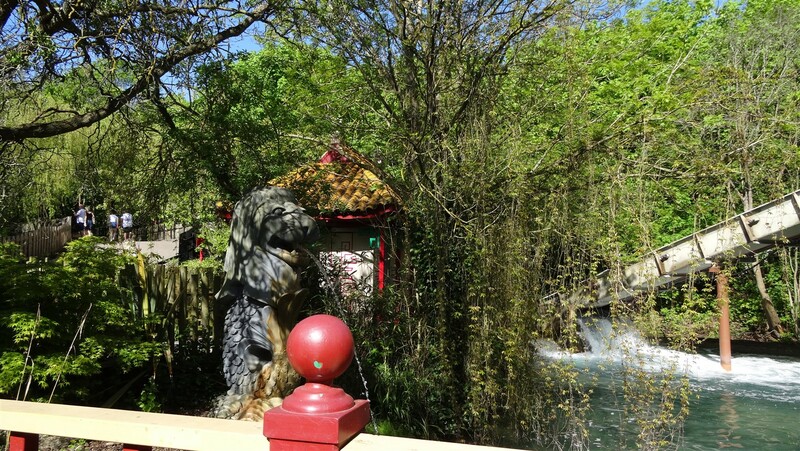 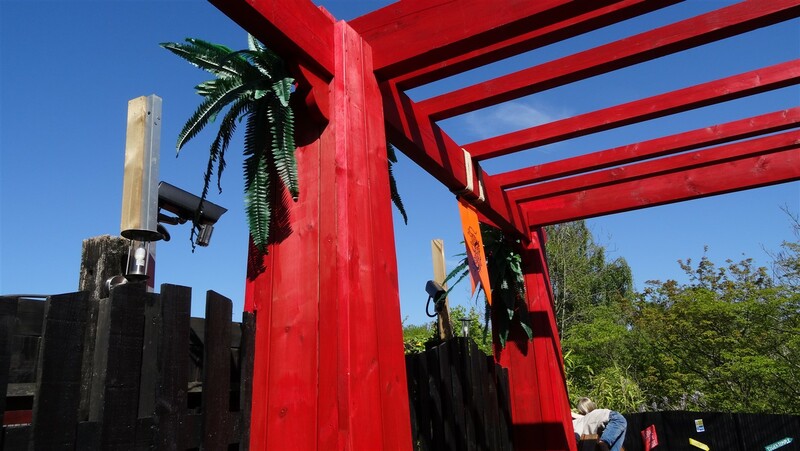 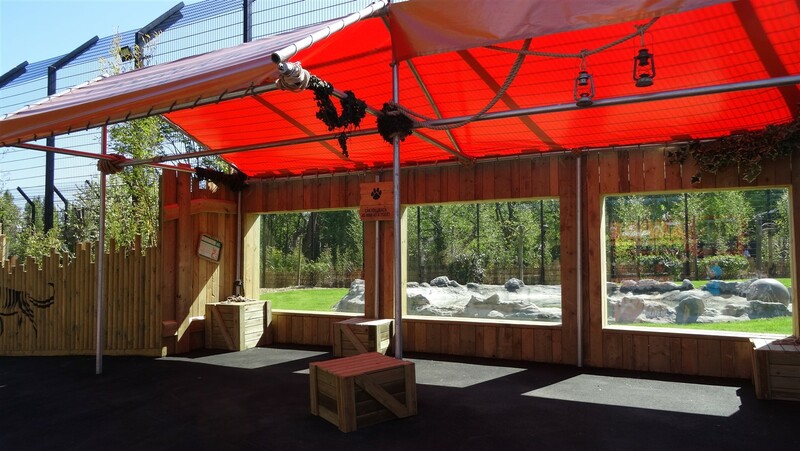 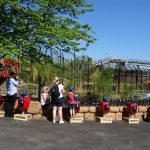 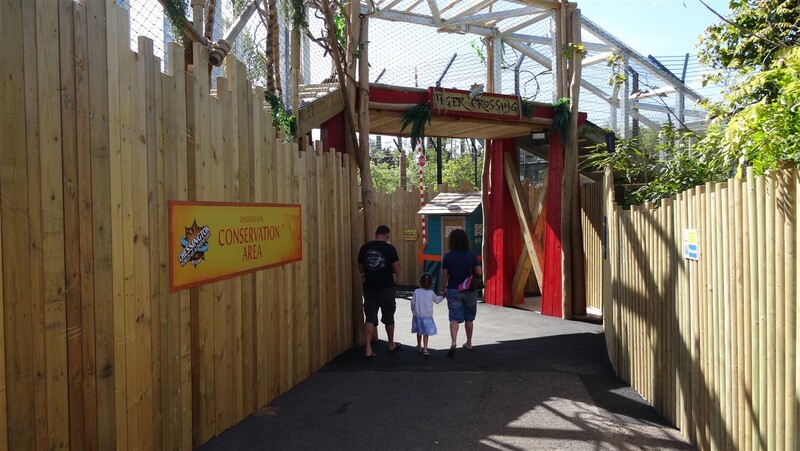 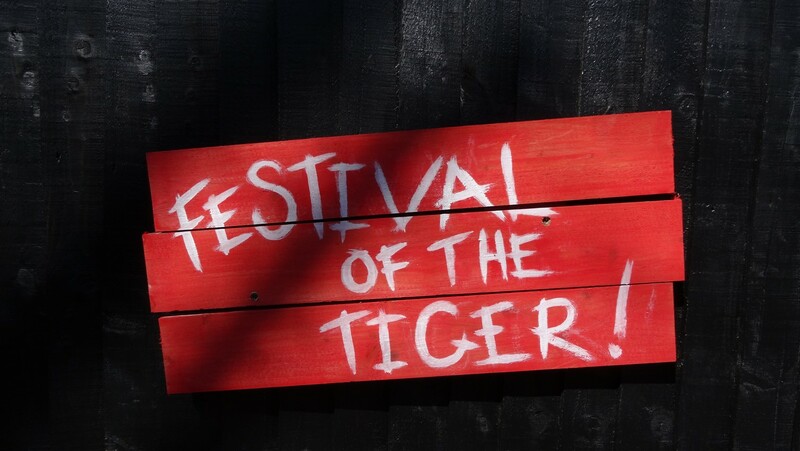 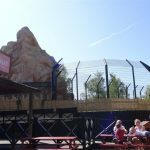 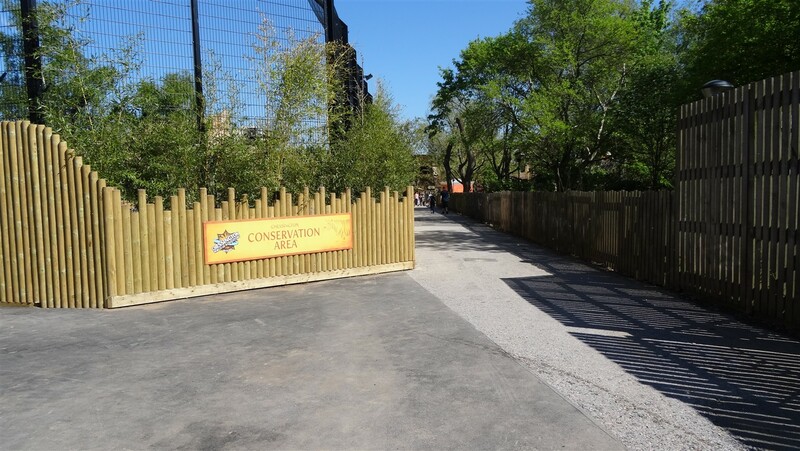 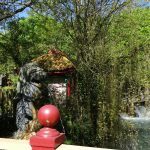 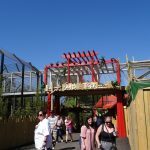 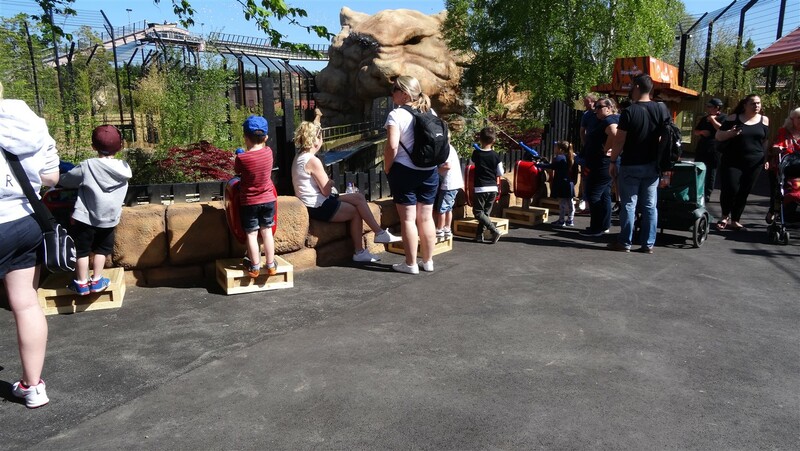 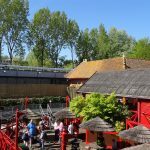 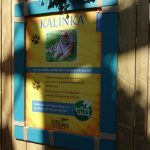 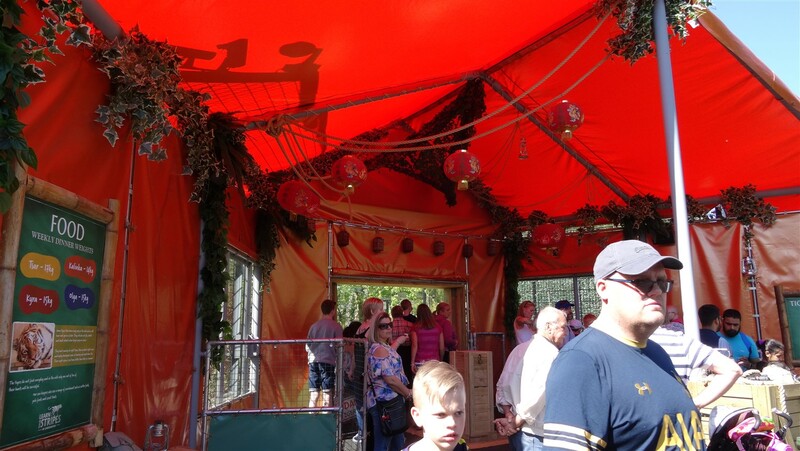 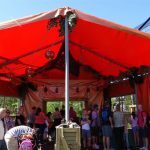 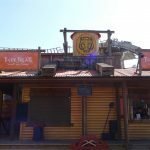 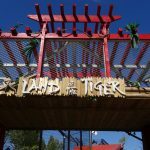 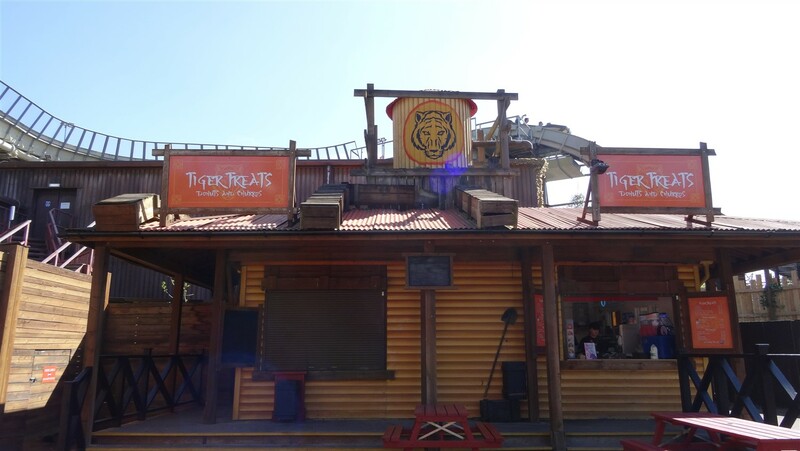 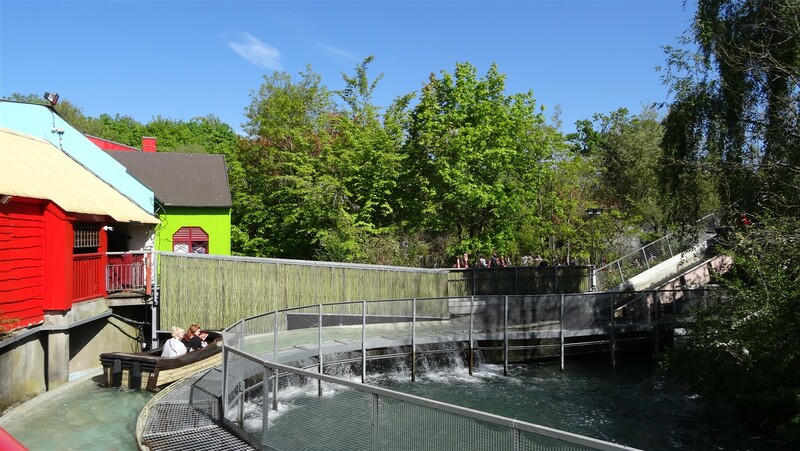 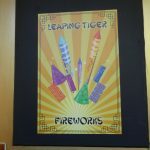 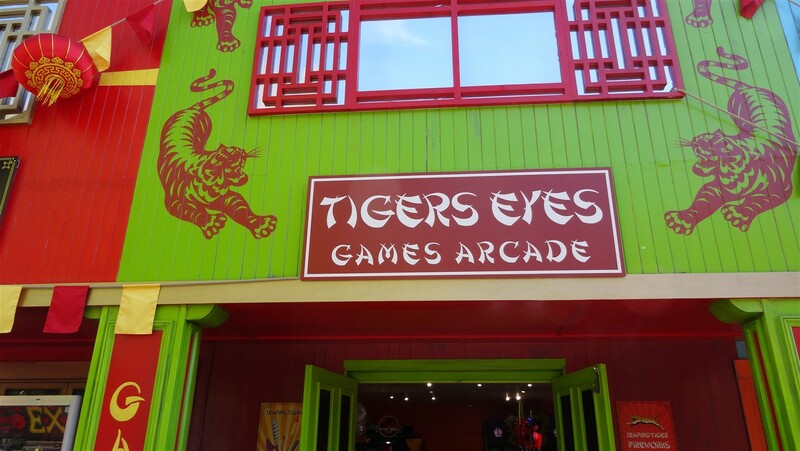 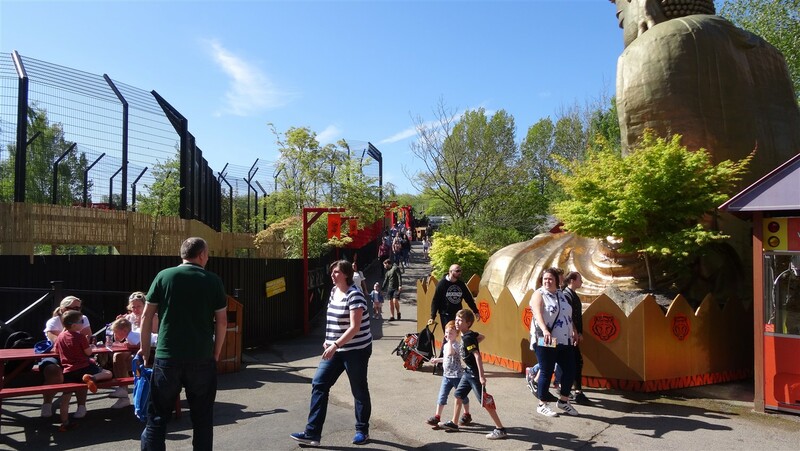 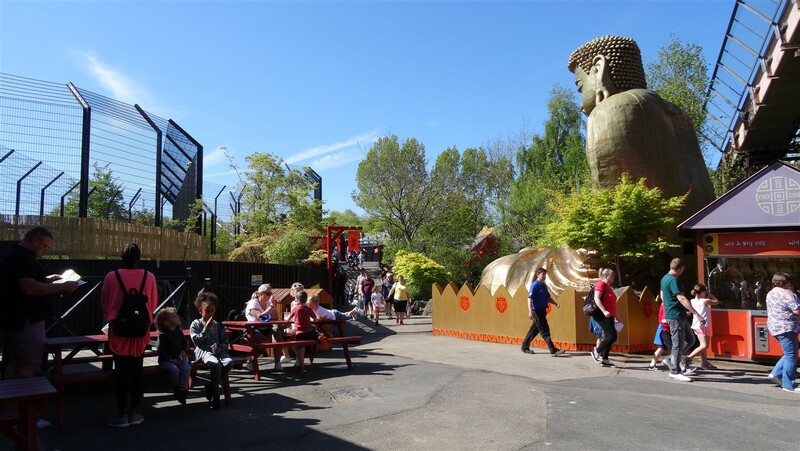 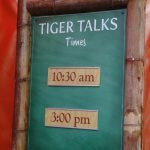 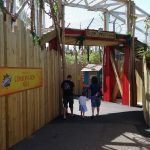 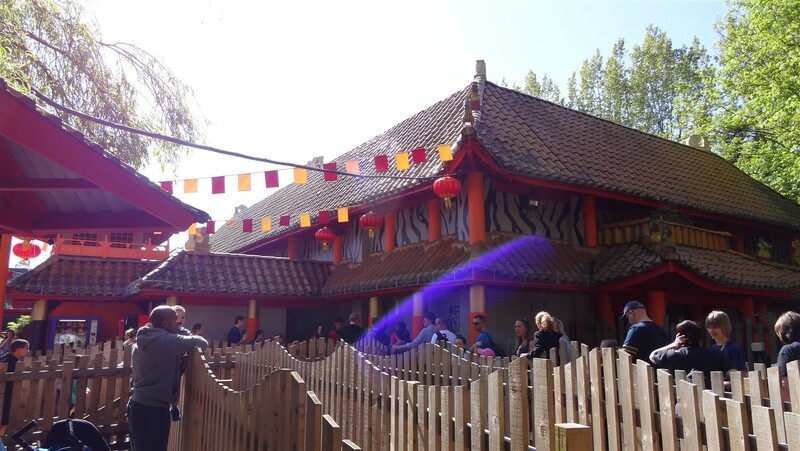 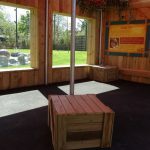 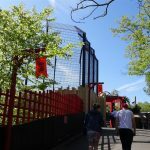 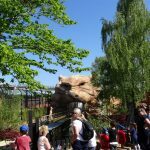 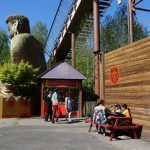 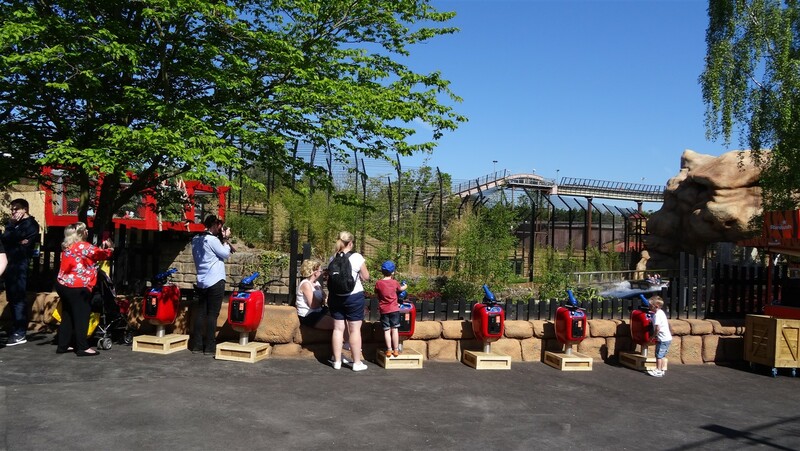 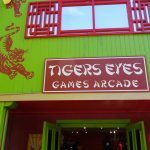 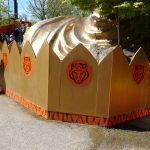 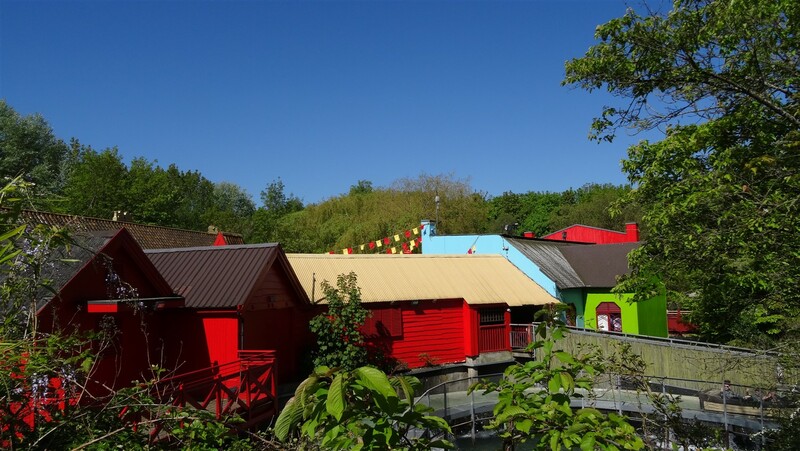 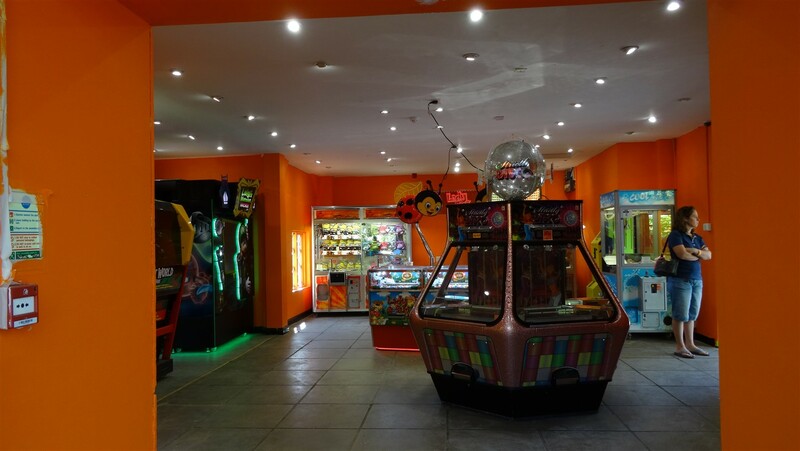 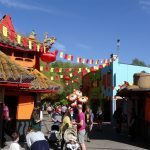 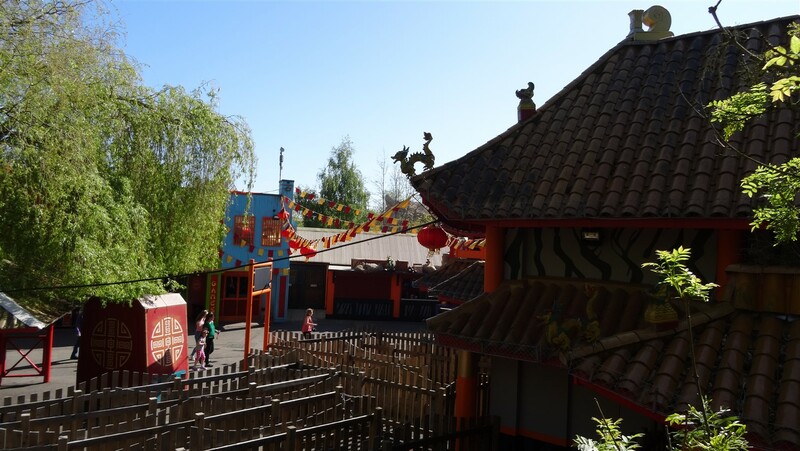 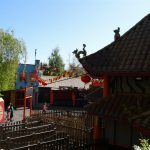 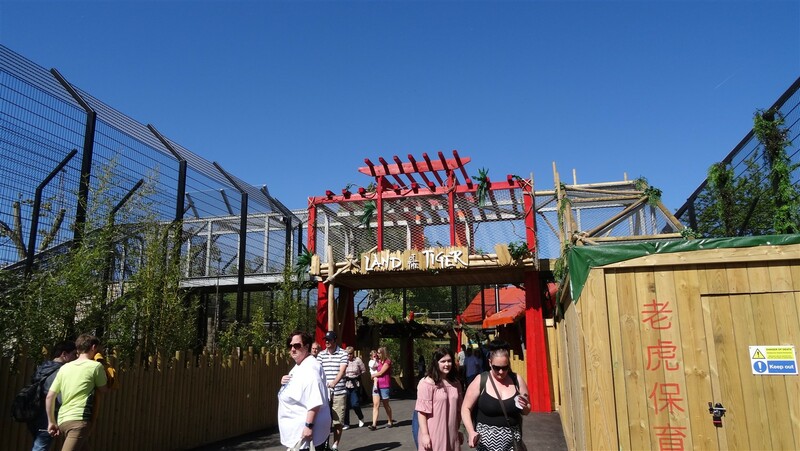 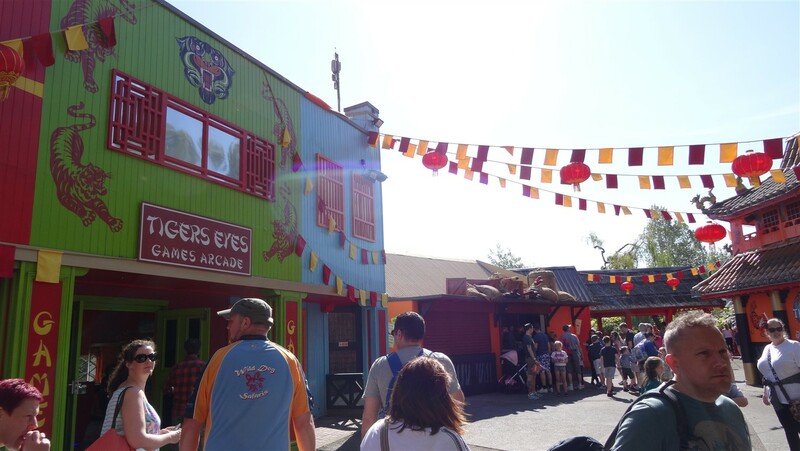 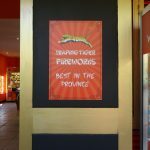 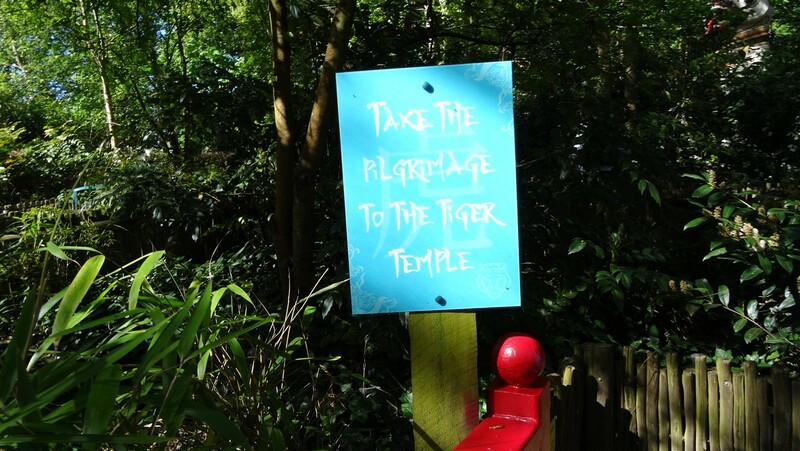 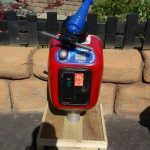 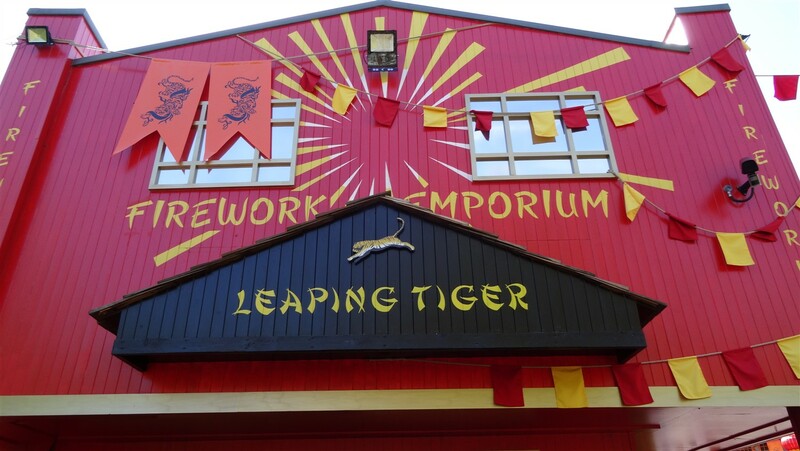 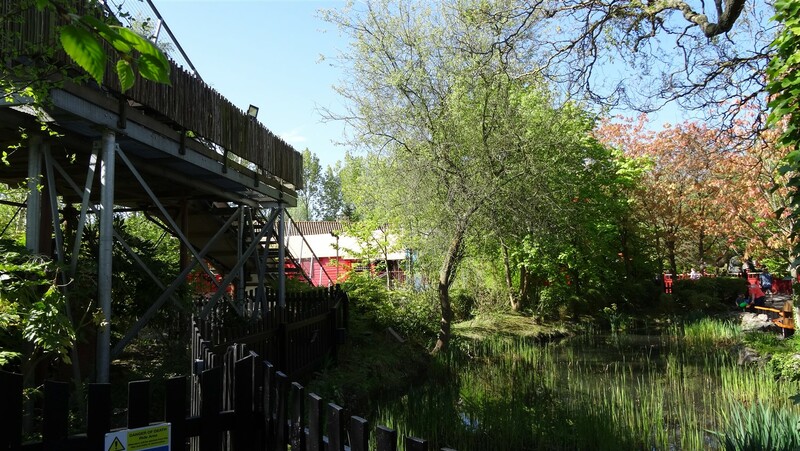 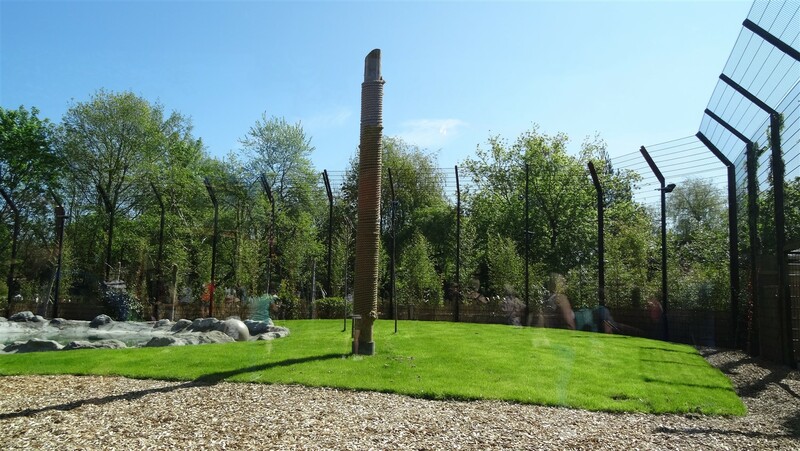 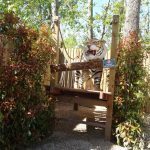 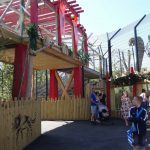 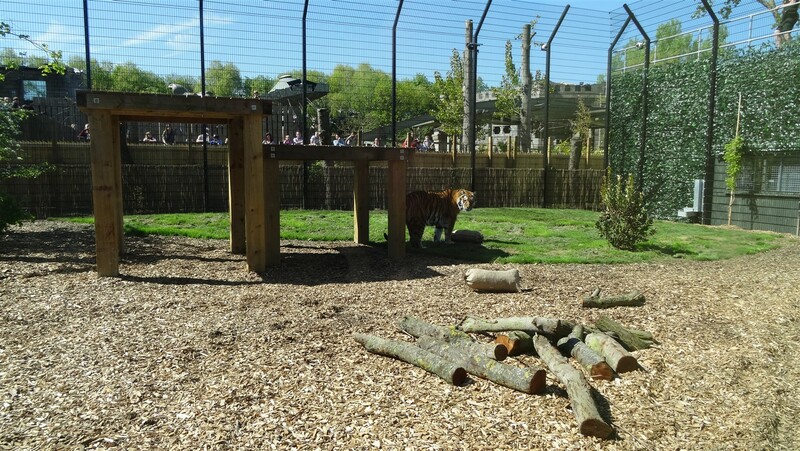 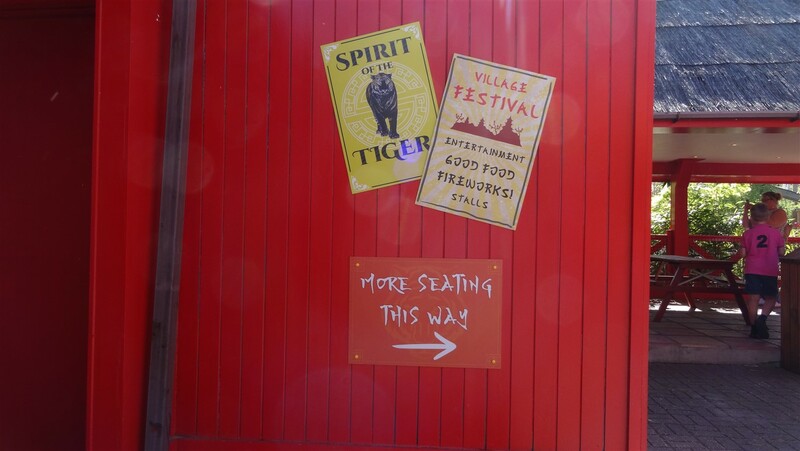 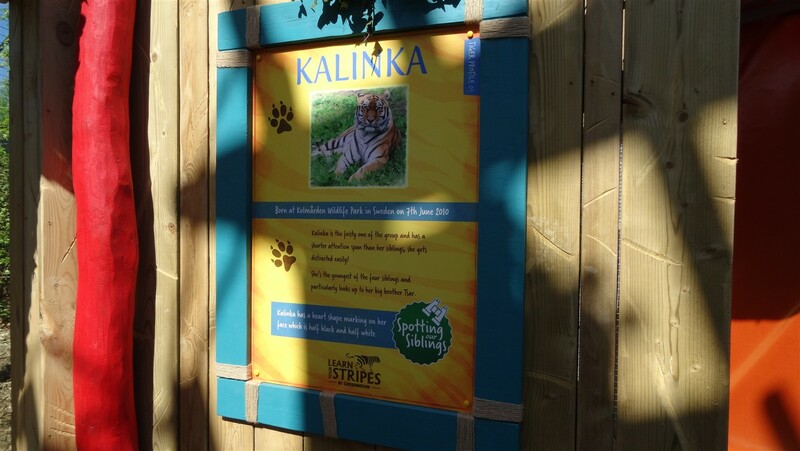 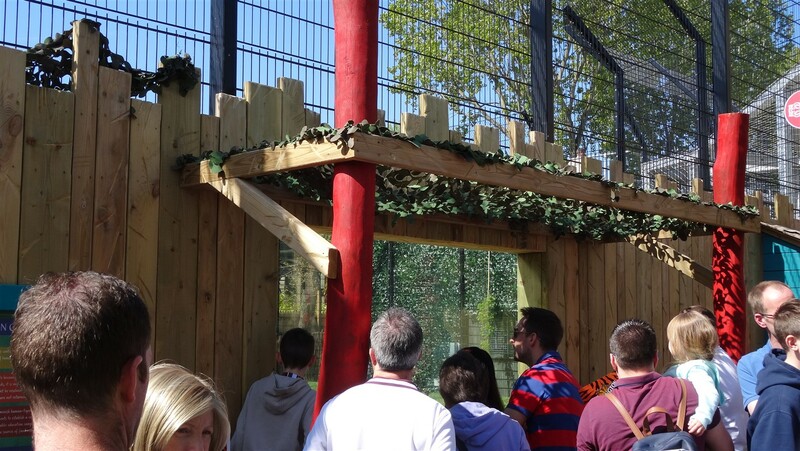 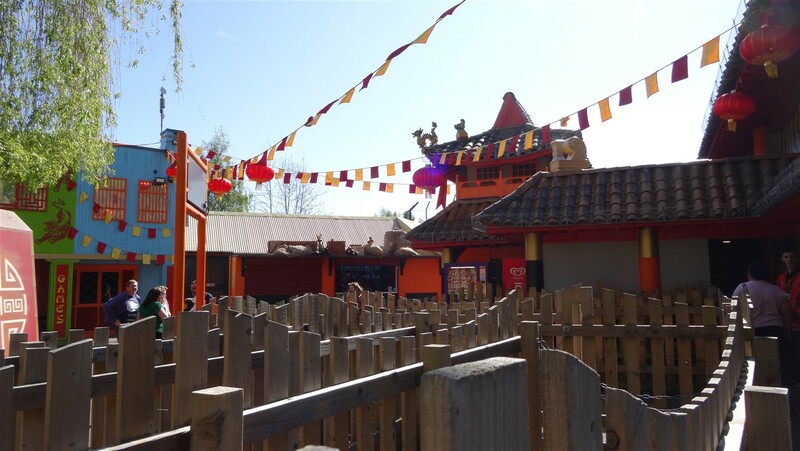 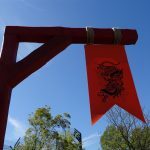 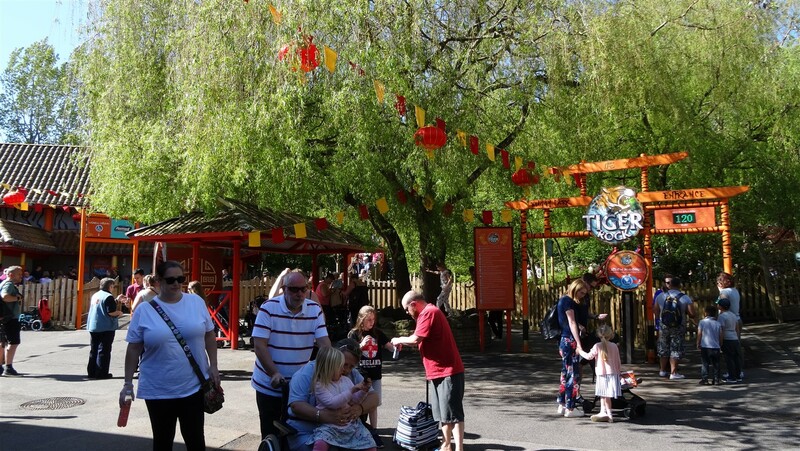 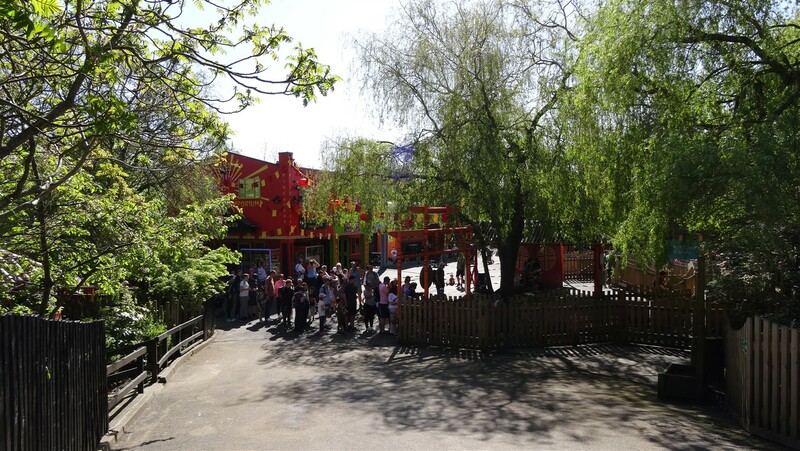 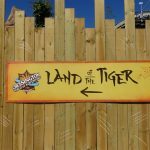 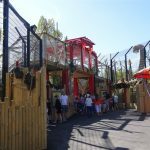 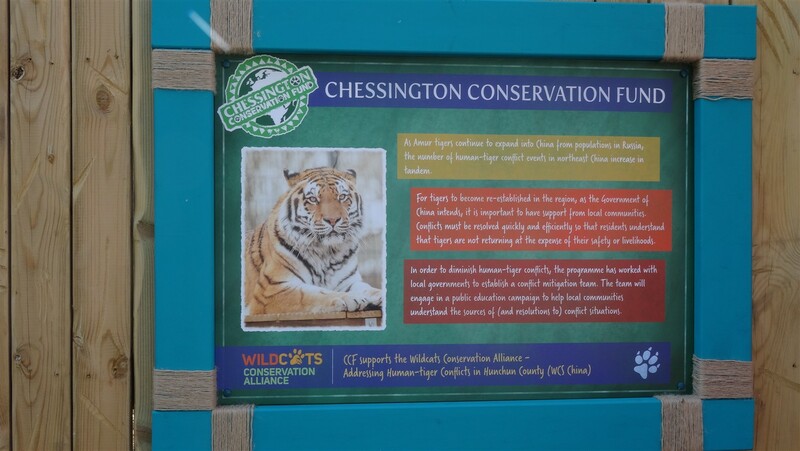 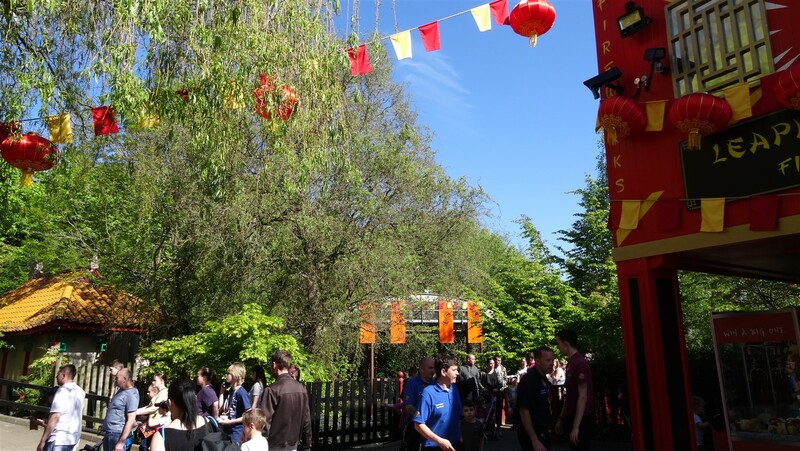 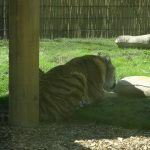 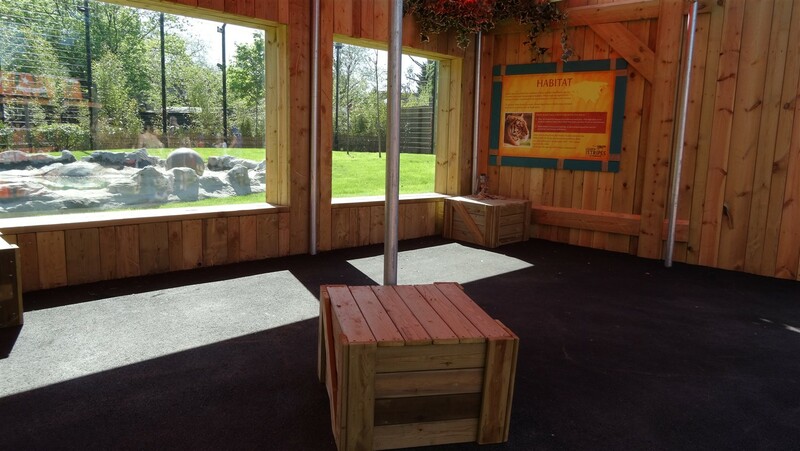 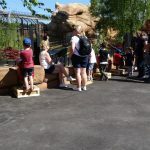 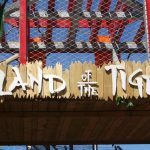 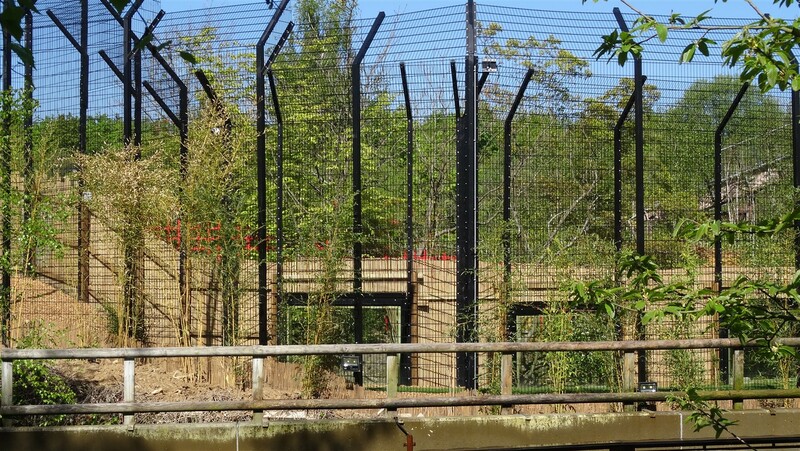 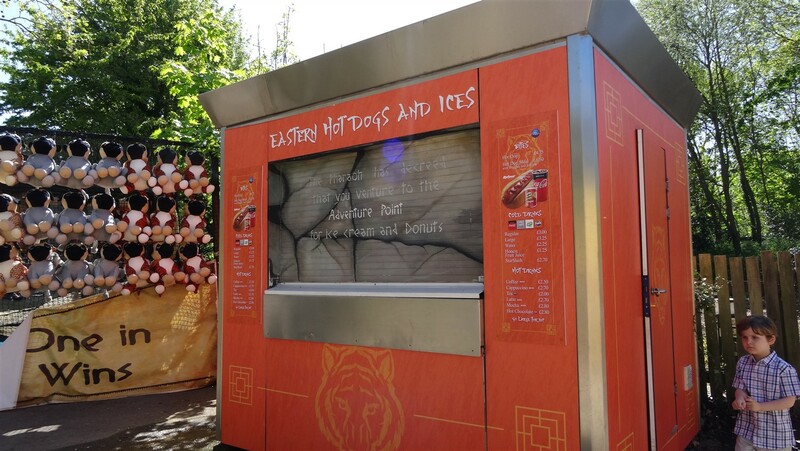 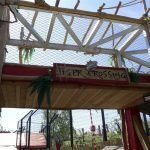 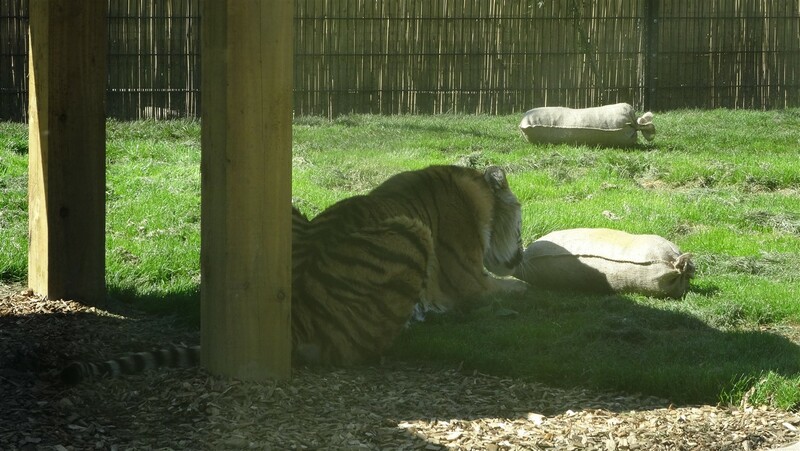 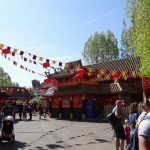 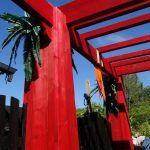 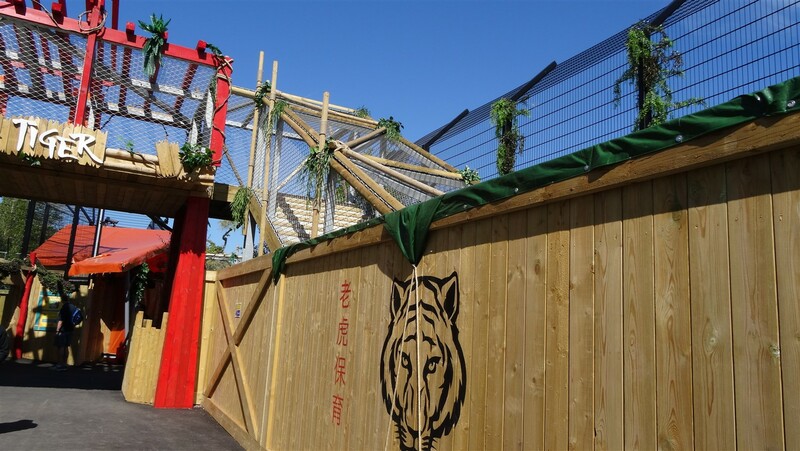 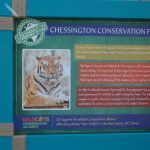 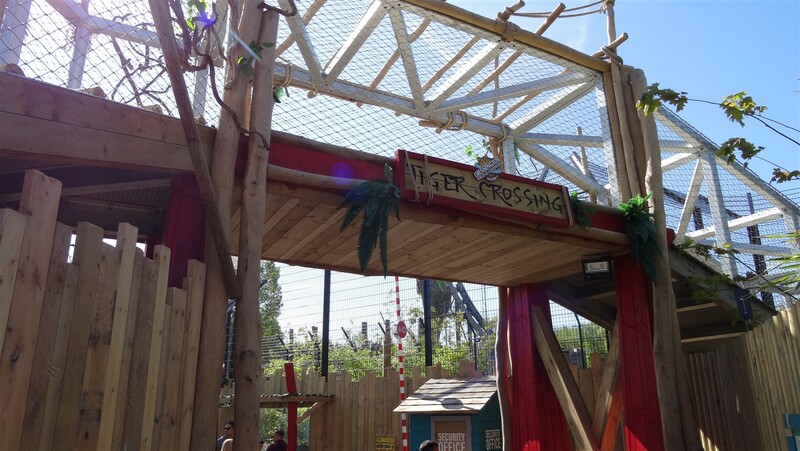 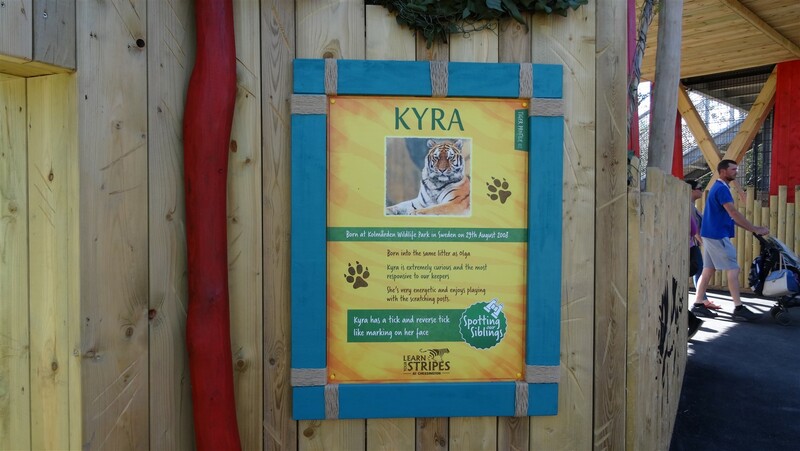 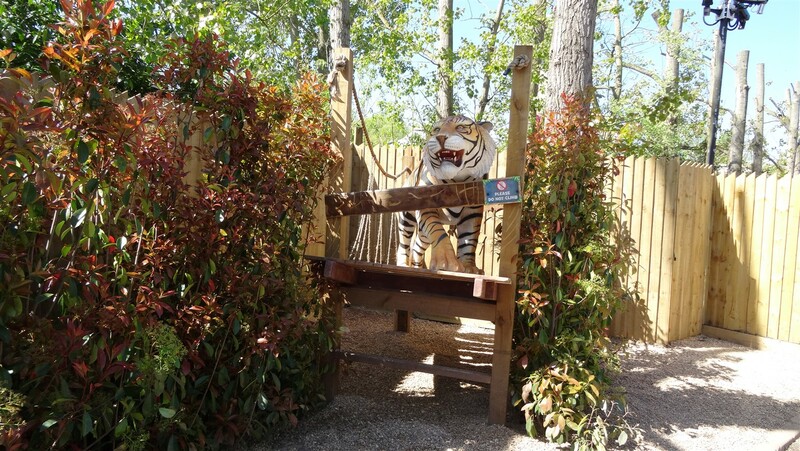 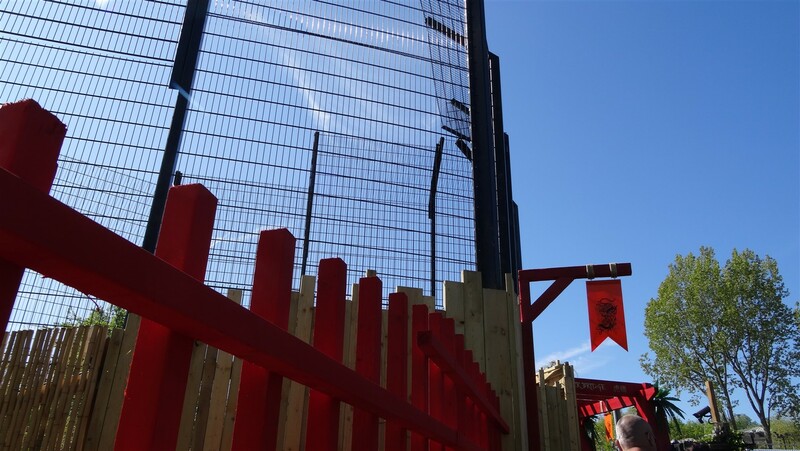 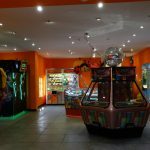 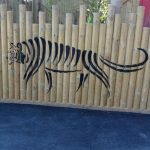 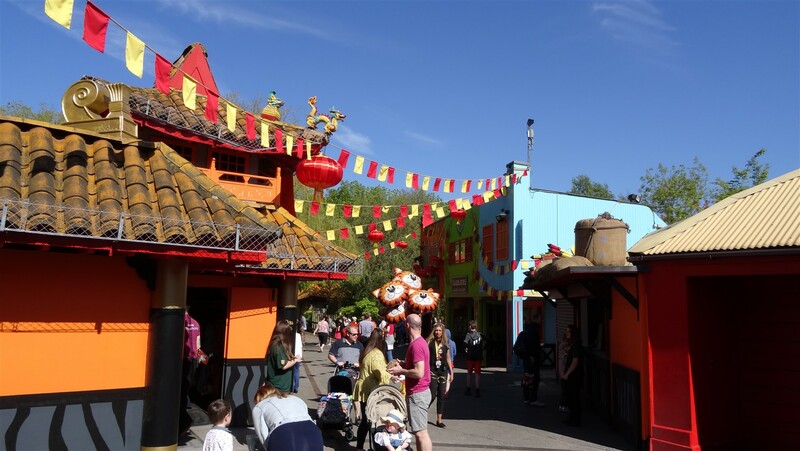 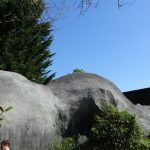 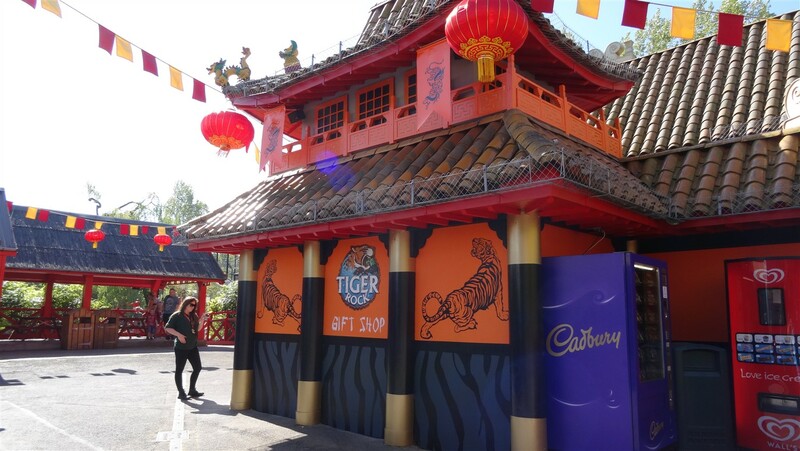 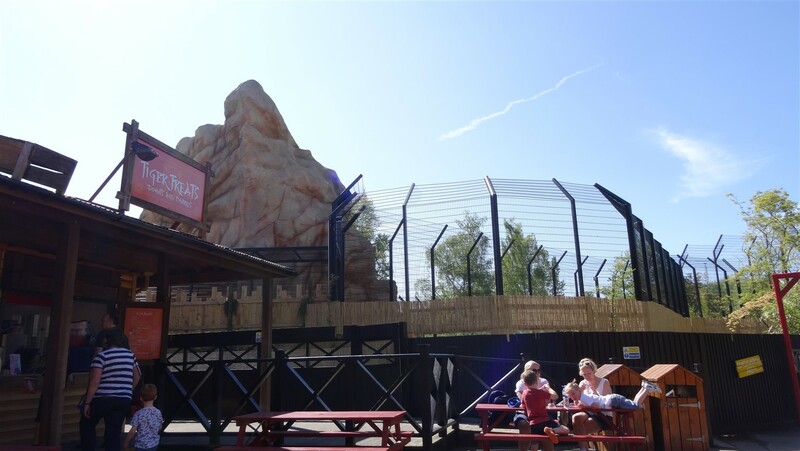 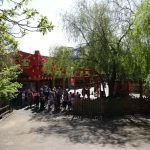 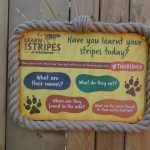 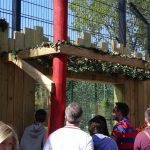 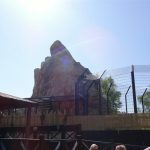 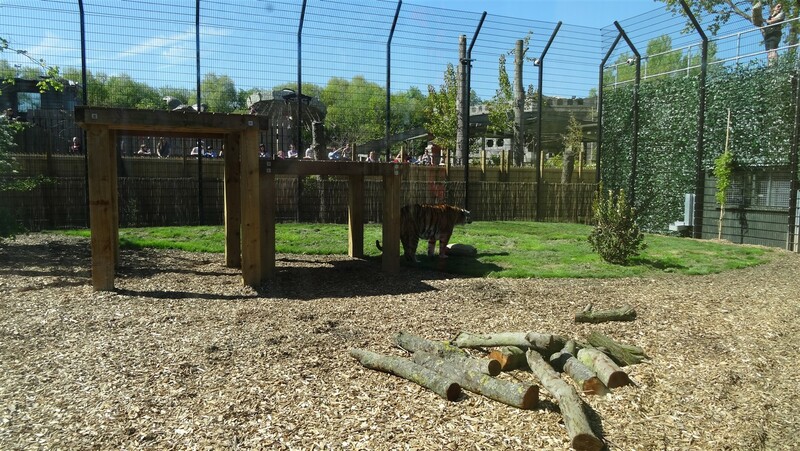 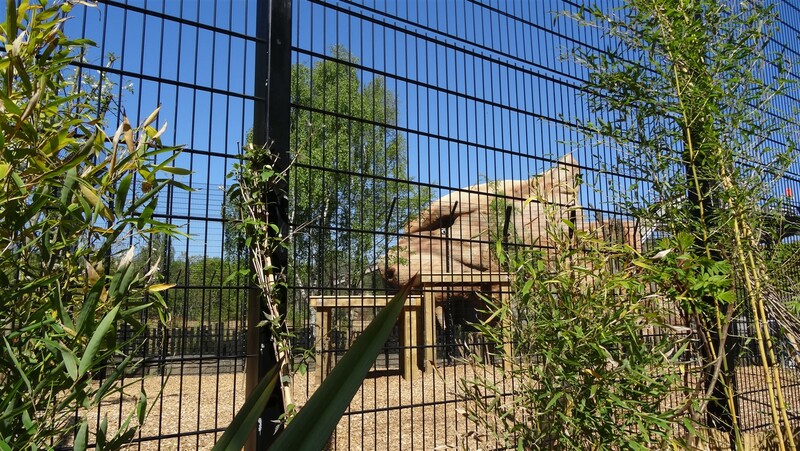 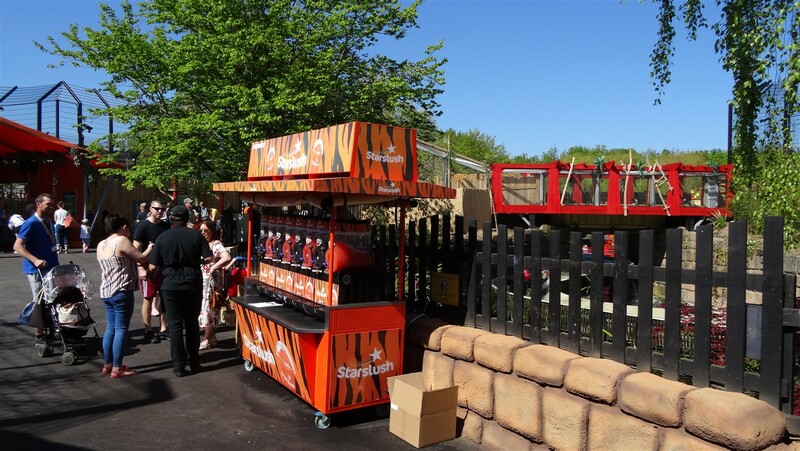 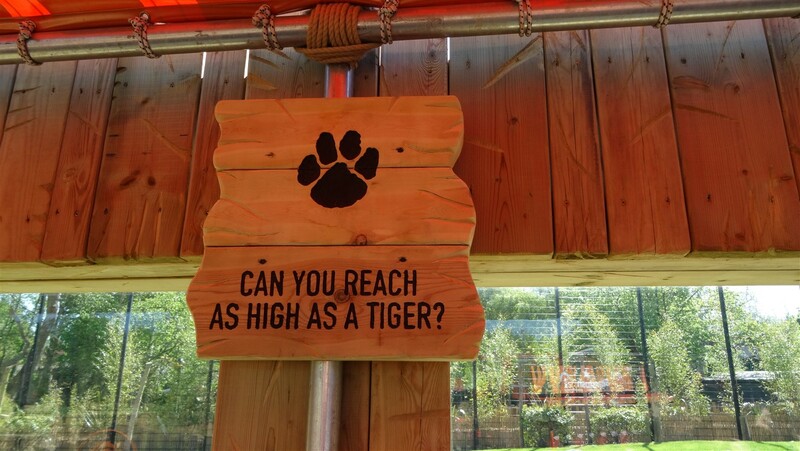 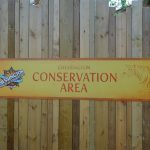 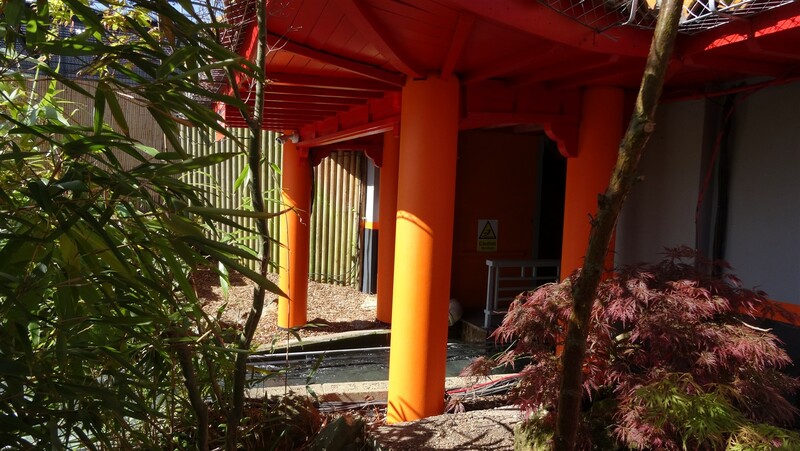 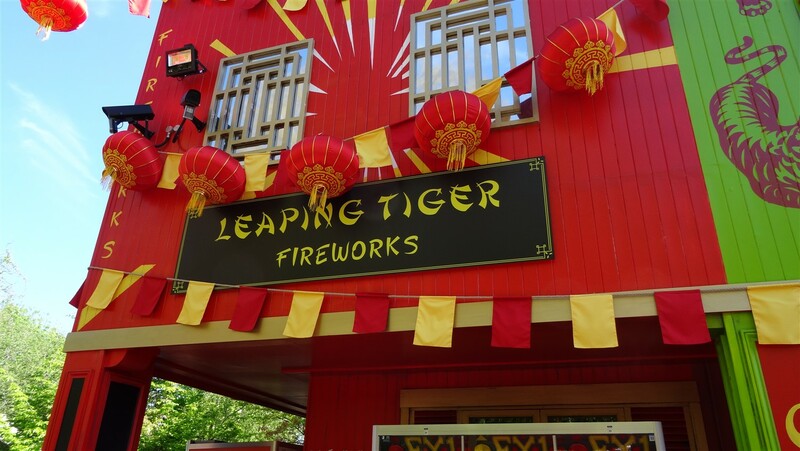 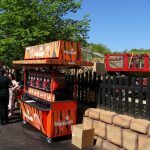 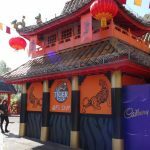 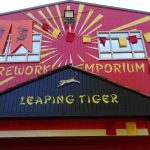 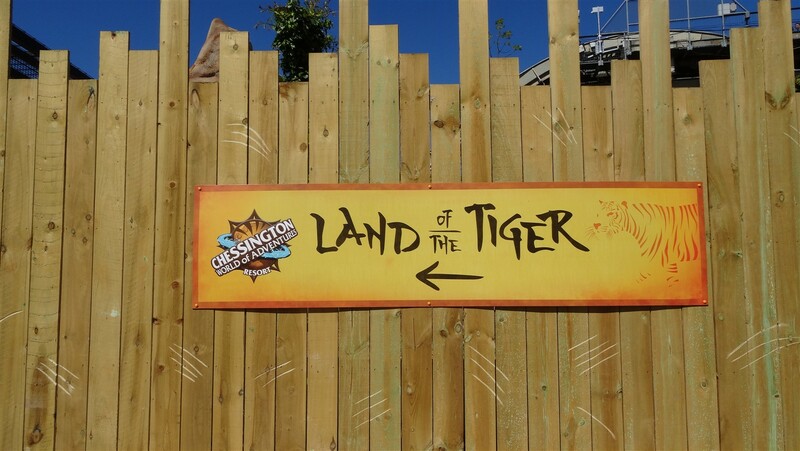 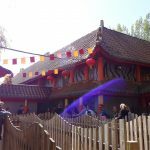 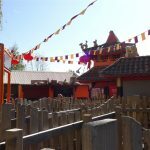 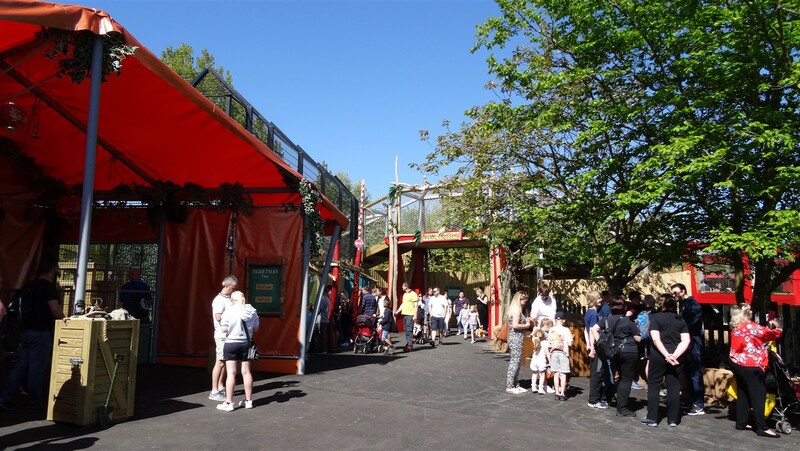 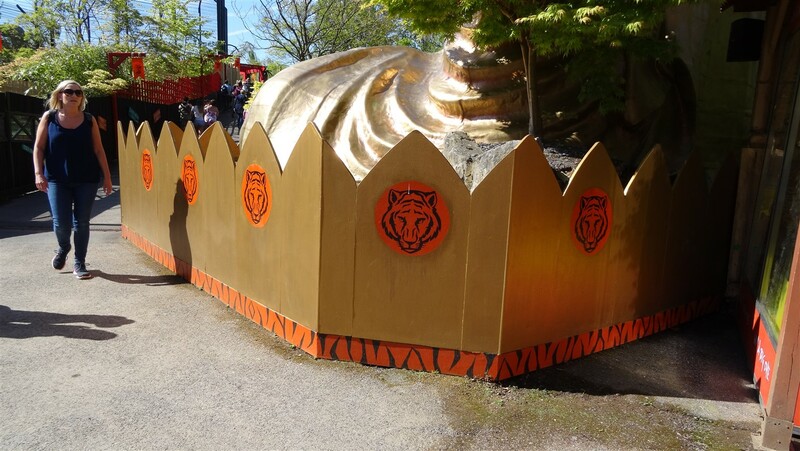 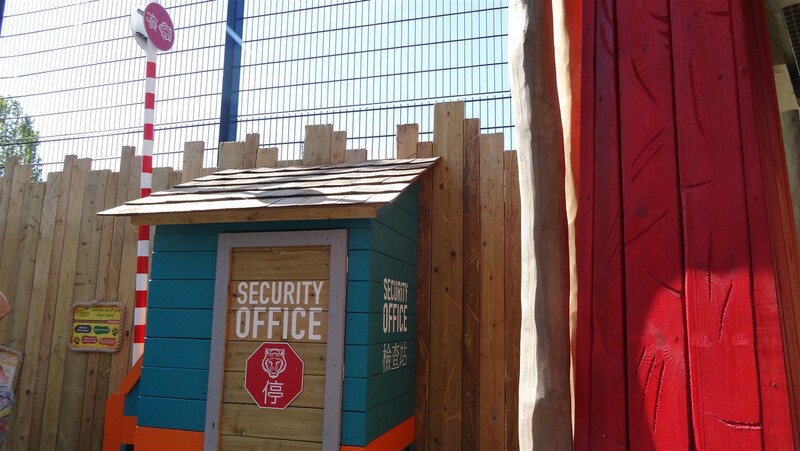 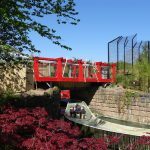 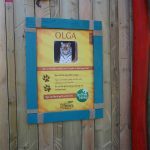 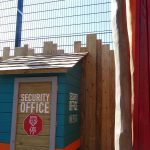 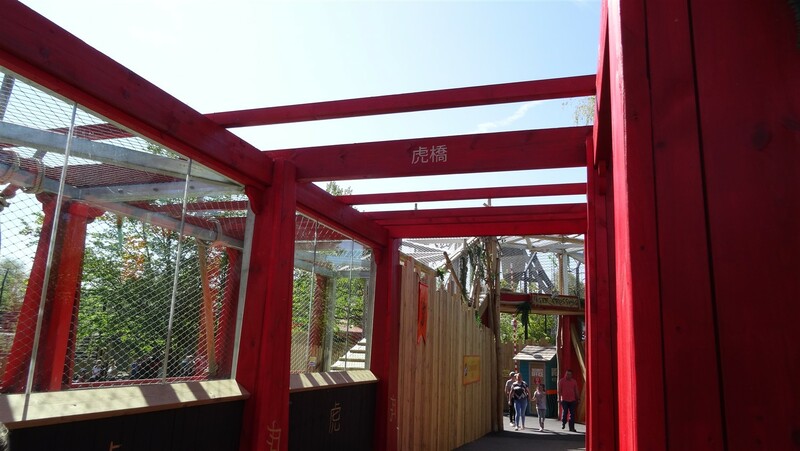 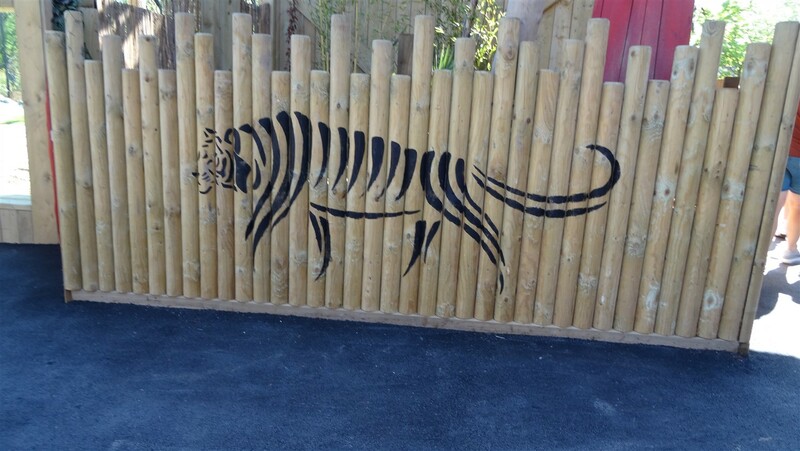 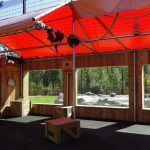 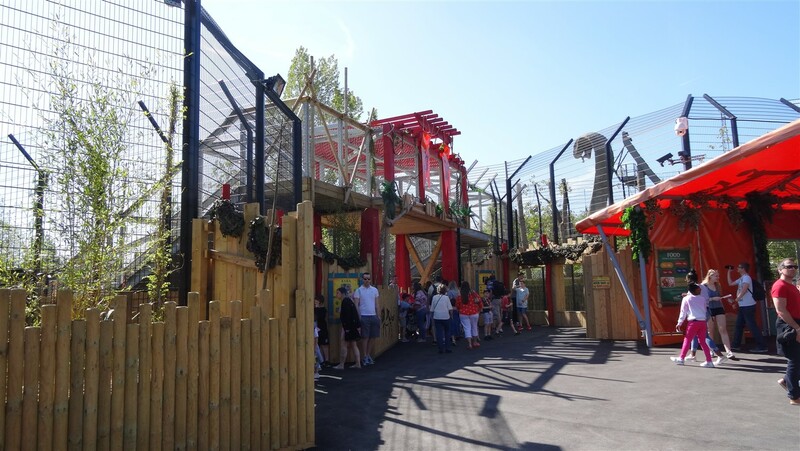 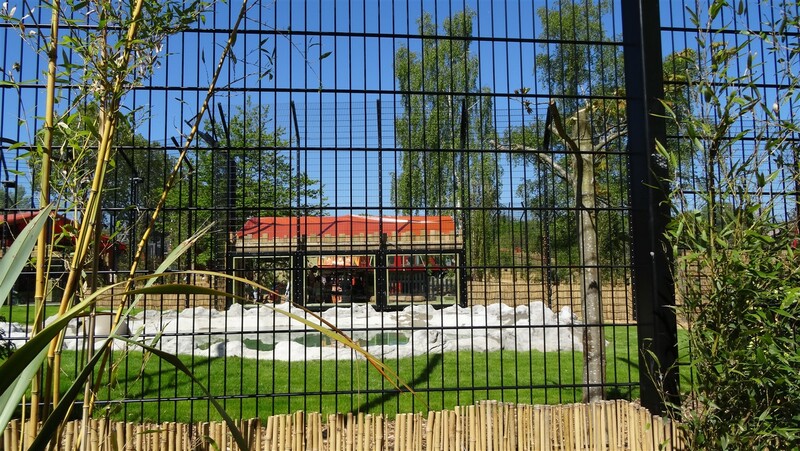 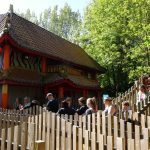 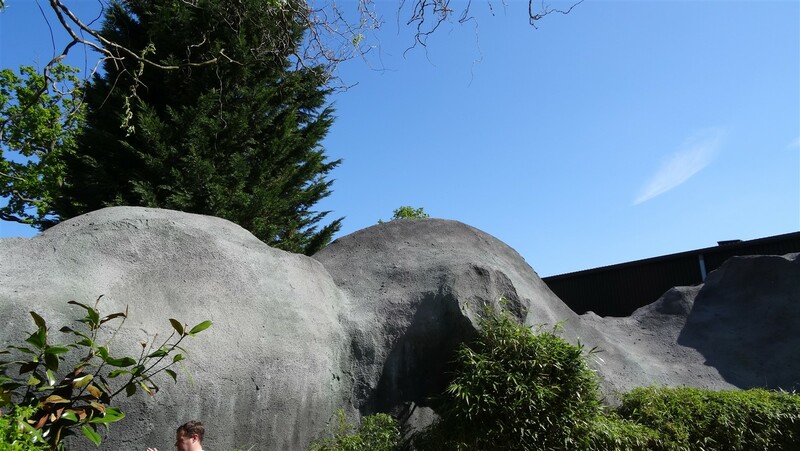 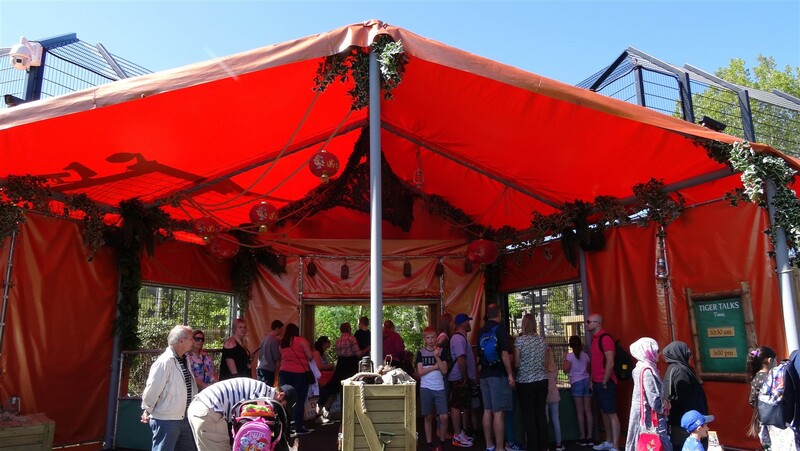 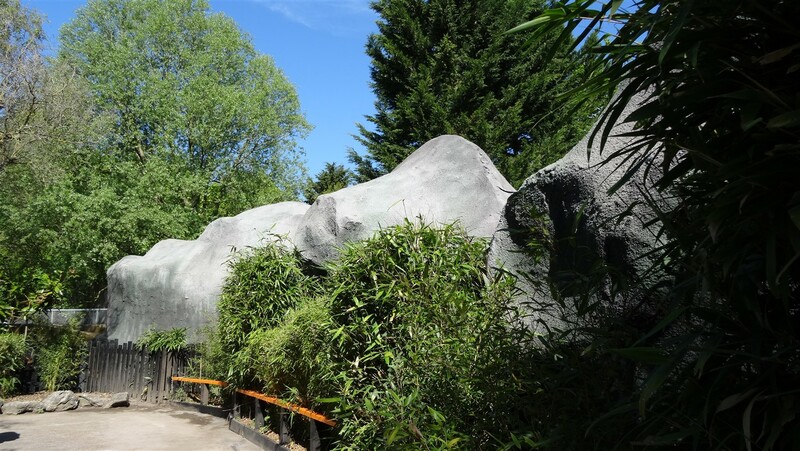 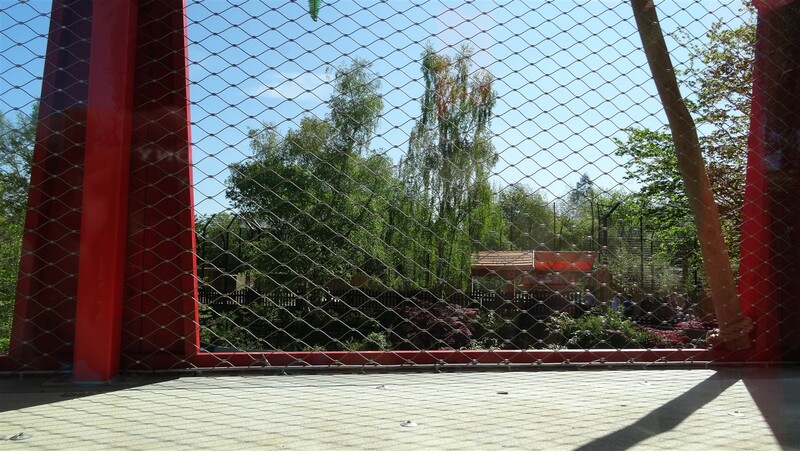 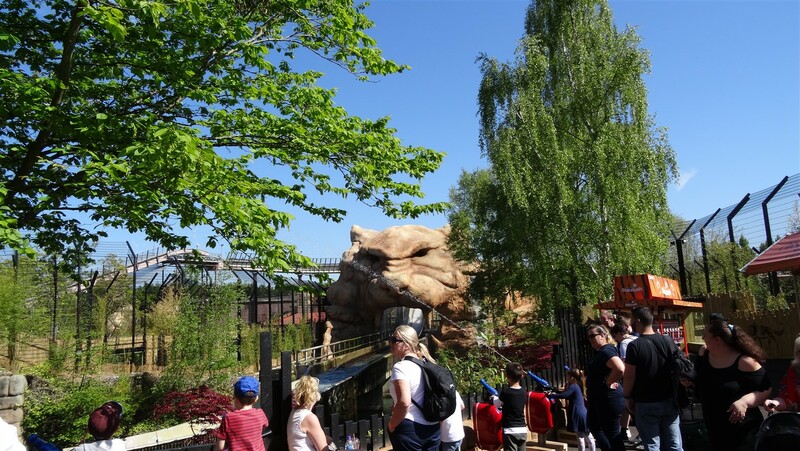 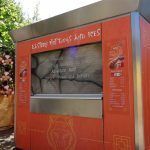 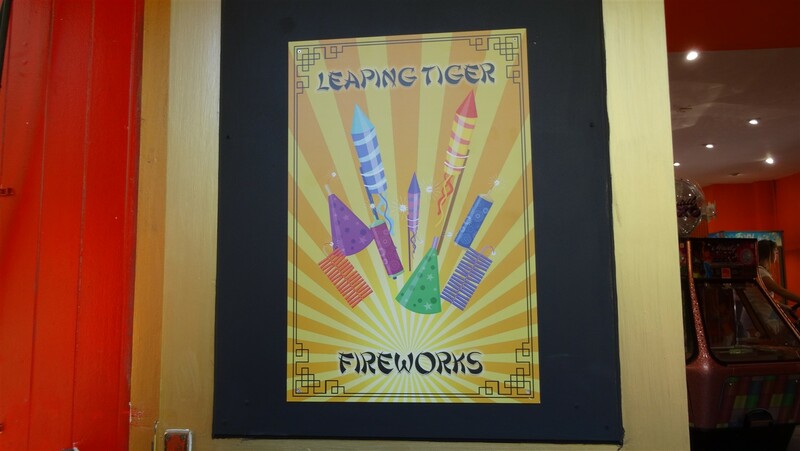 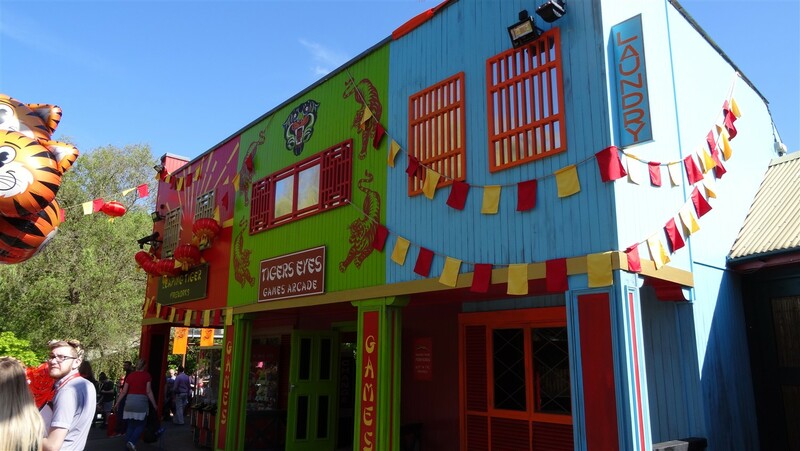 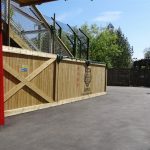 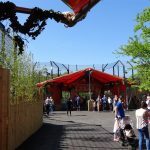 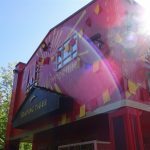 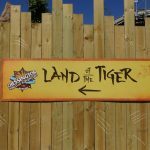 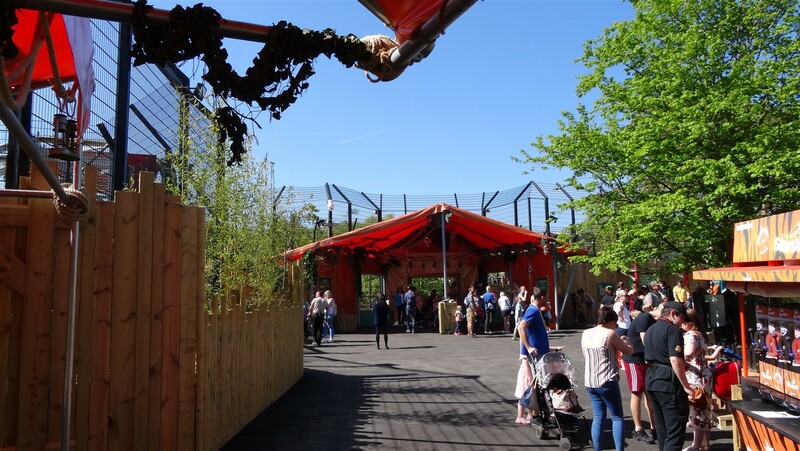 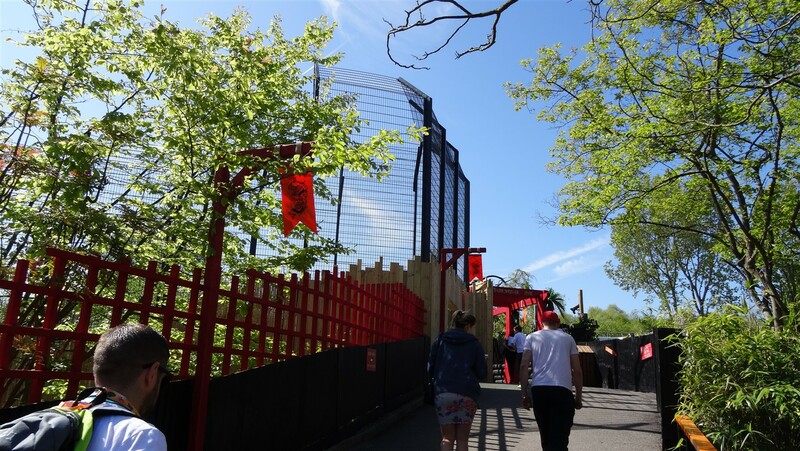 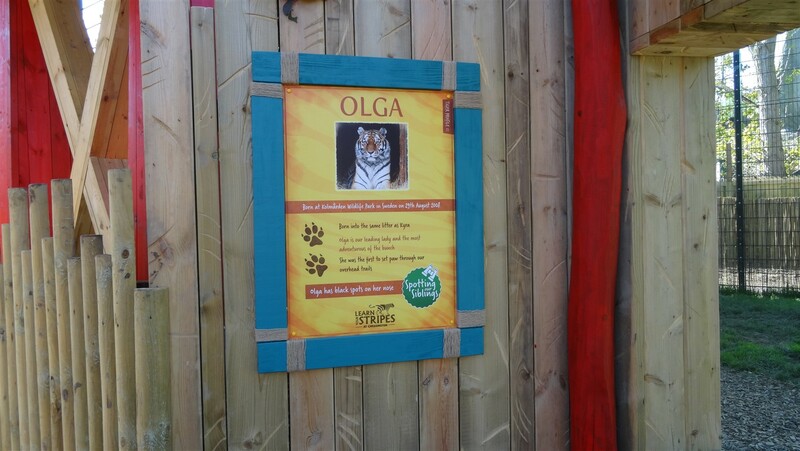 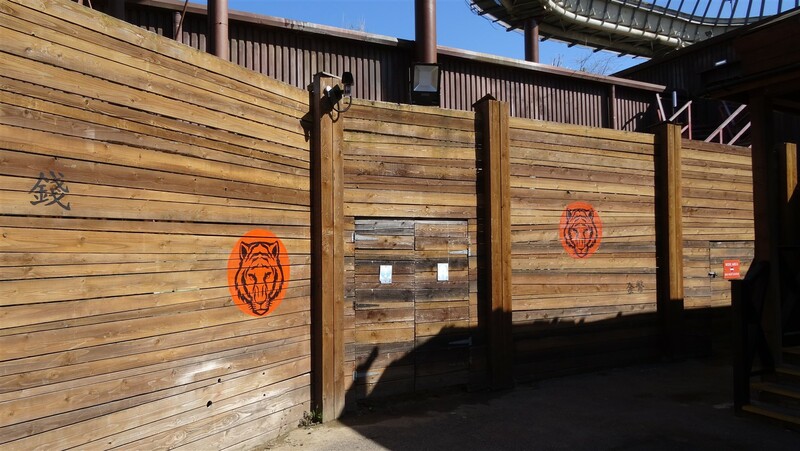 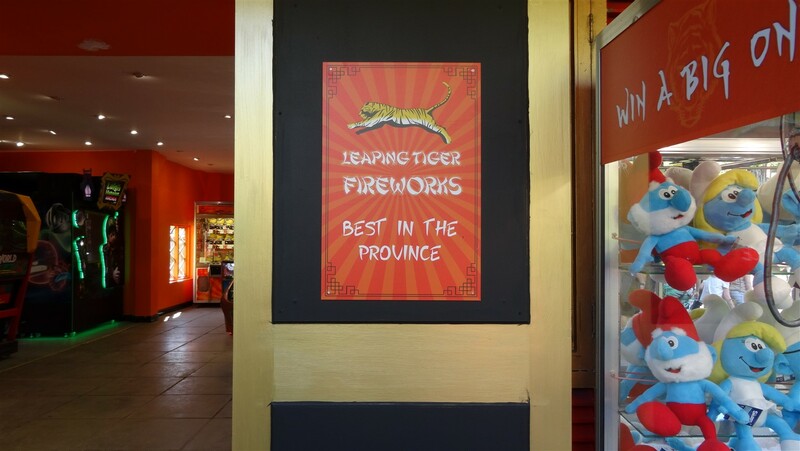 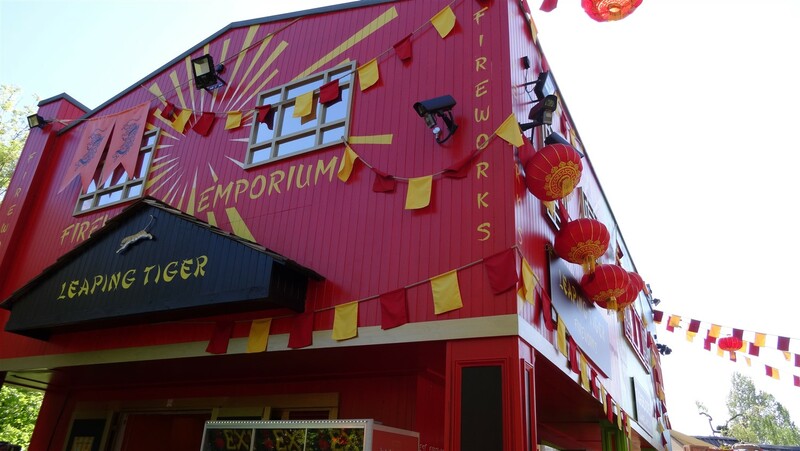 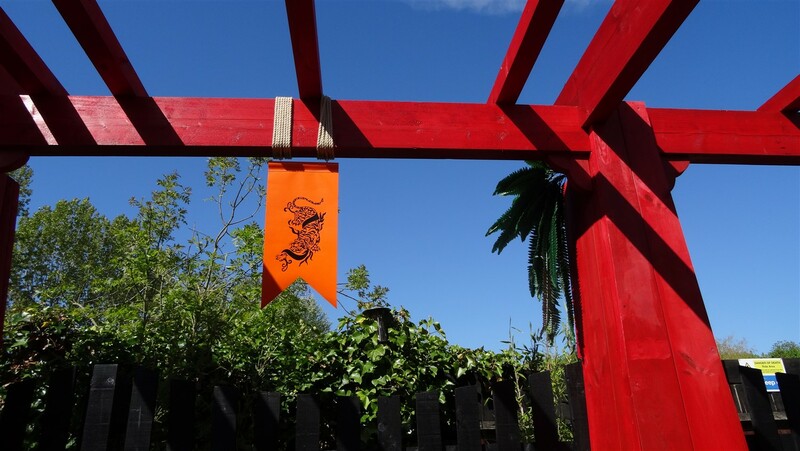 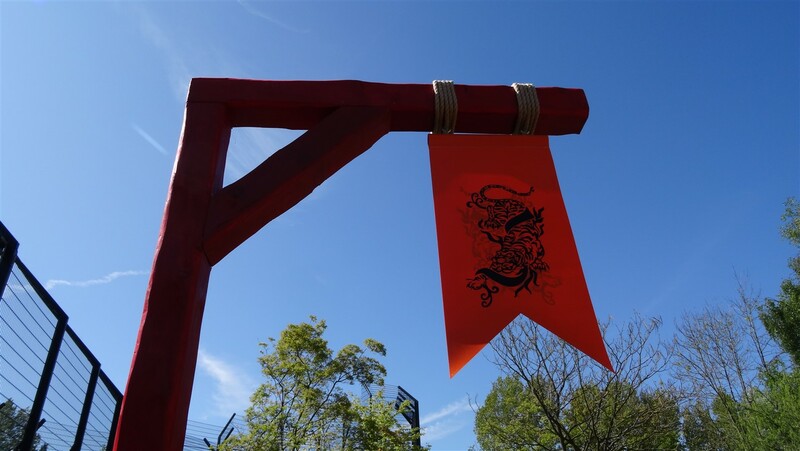 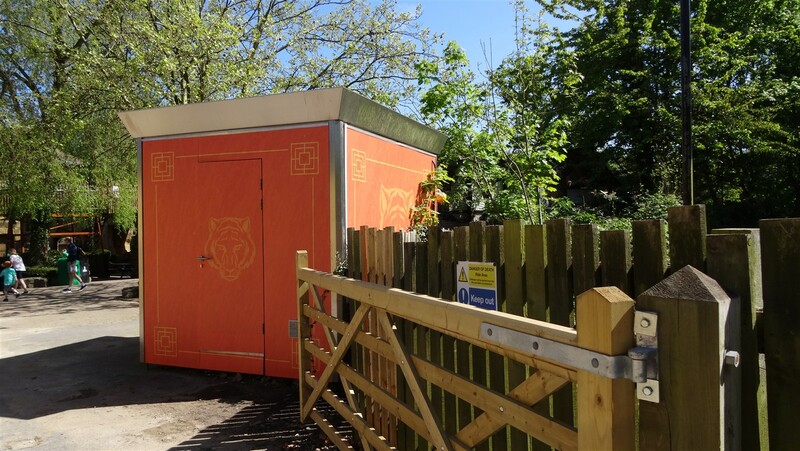 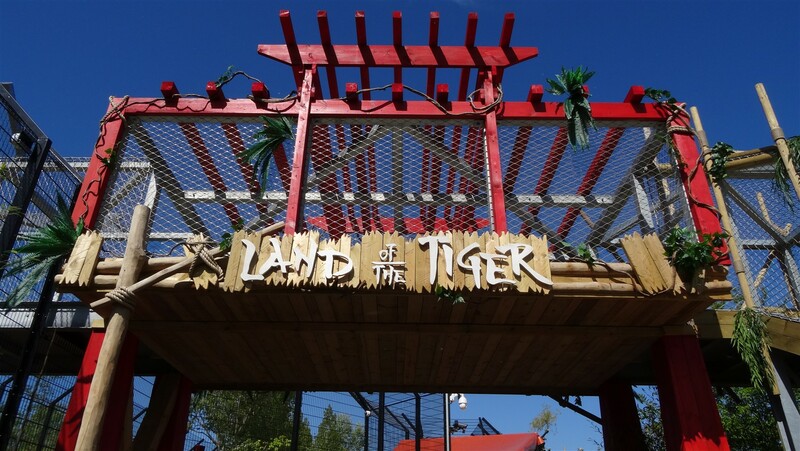 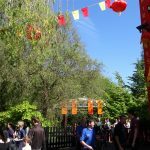 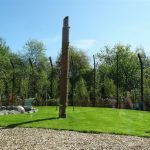 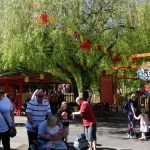 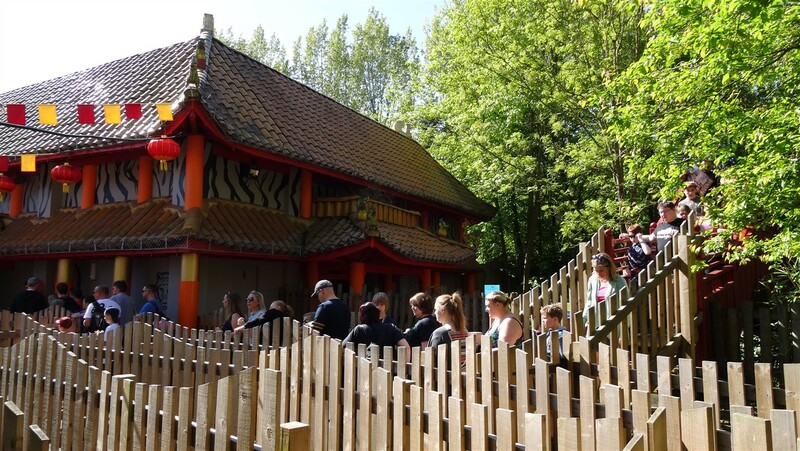 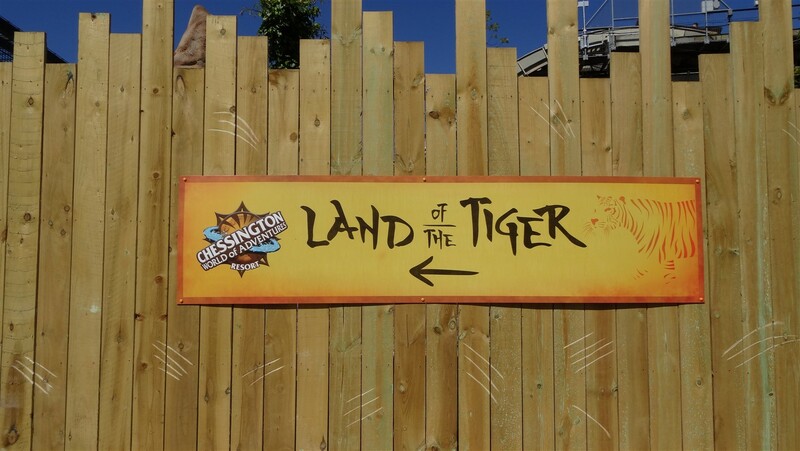 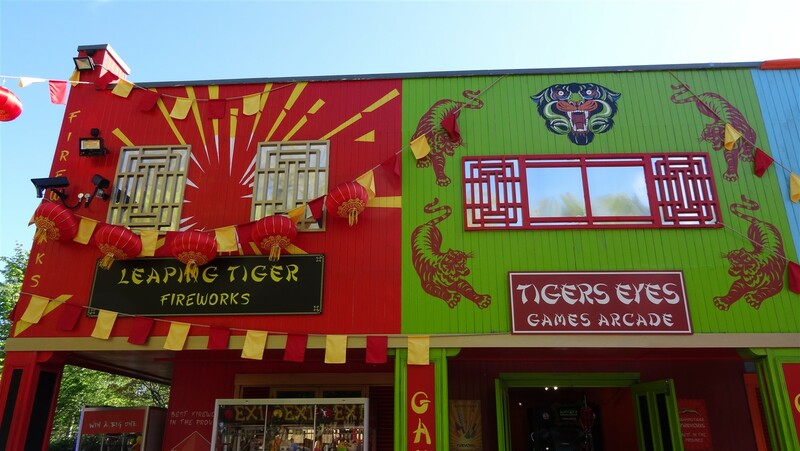 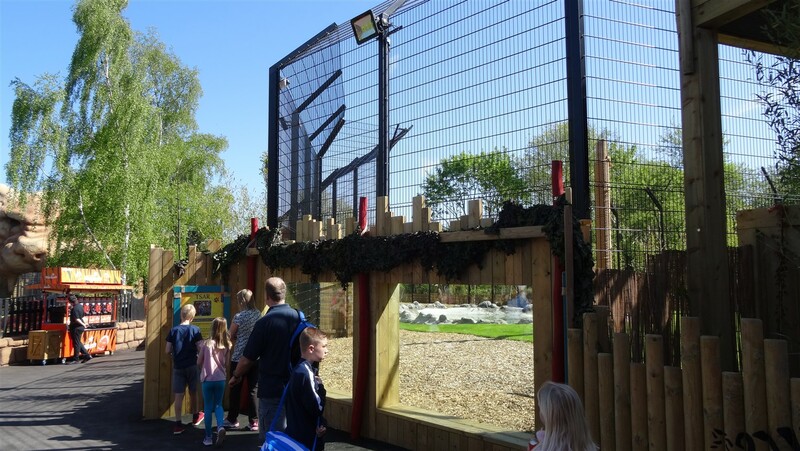 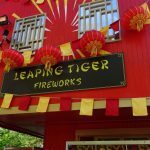 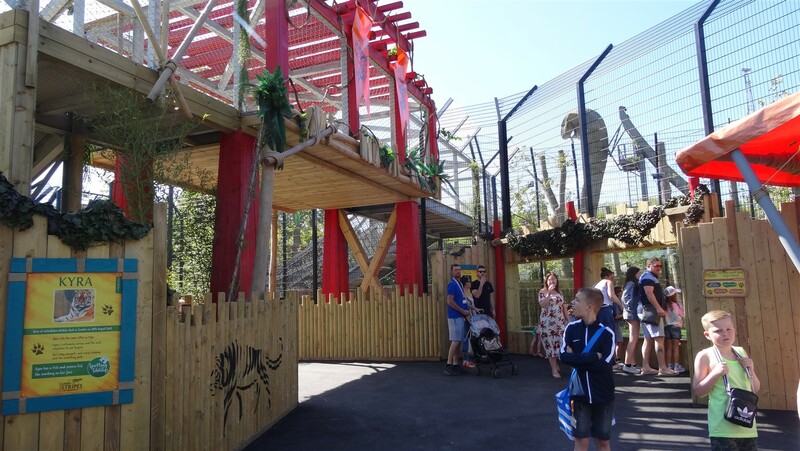 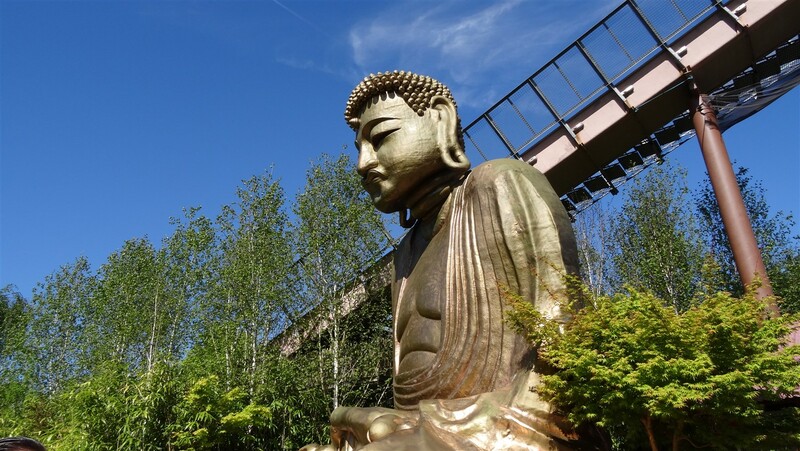 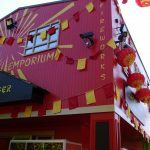 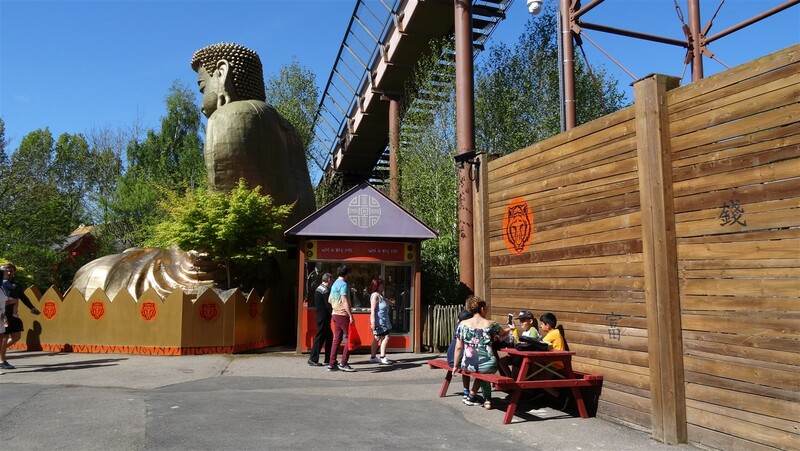 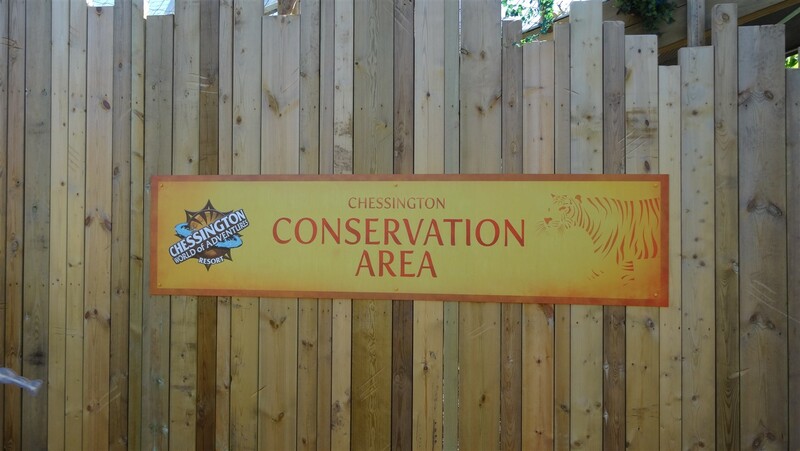 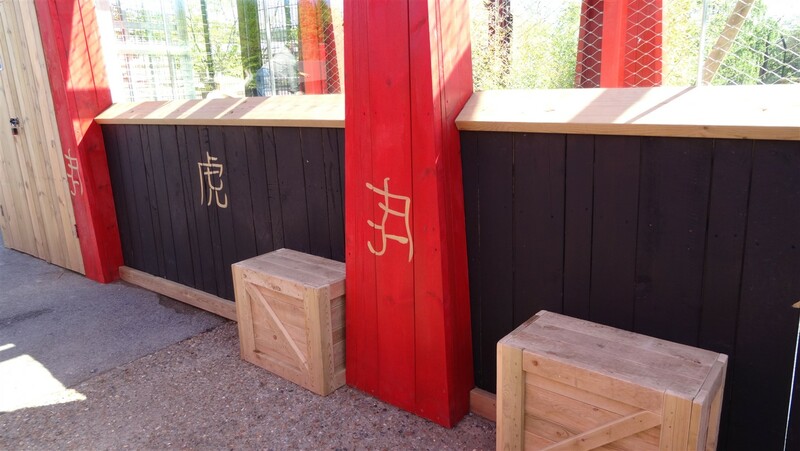 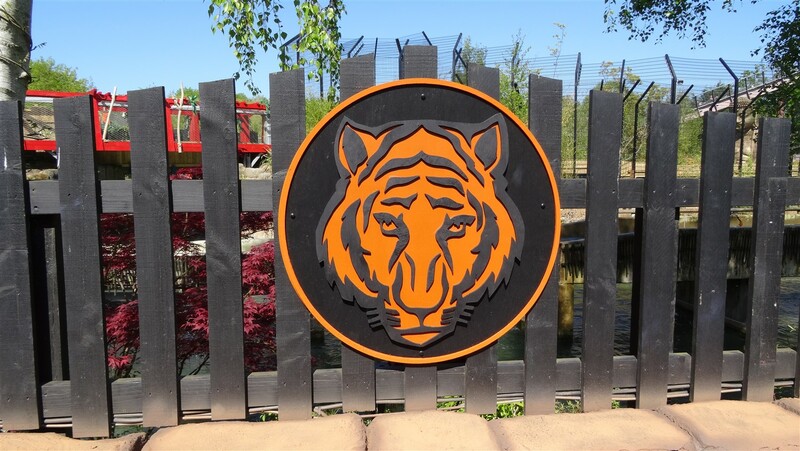 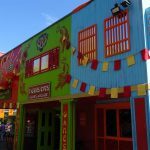 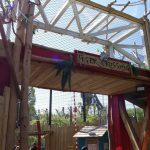 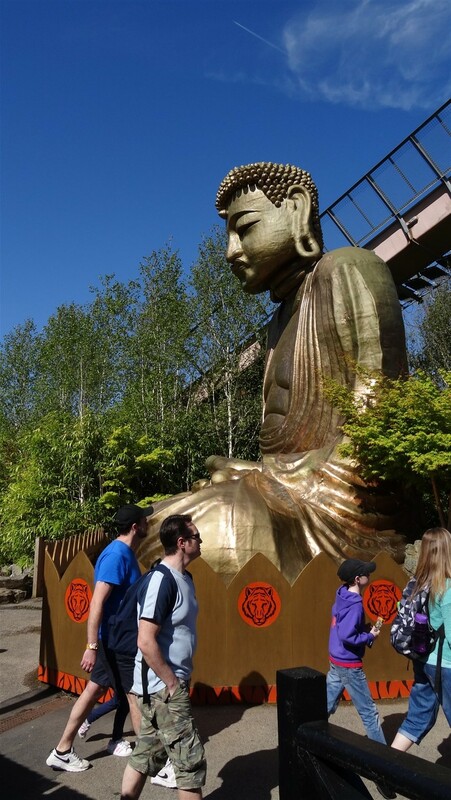 Land of the Tigers opens at Chessington on the 5th May.